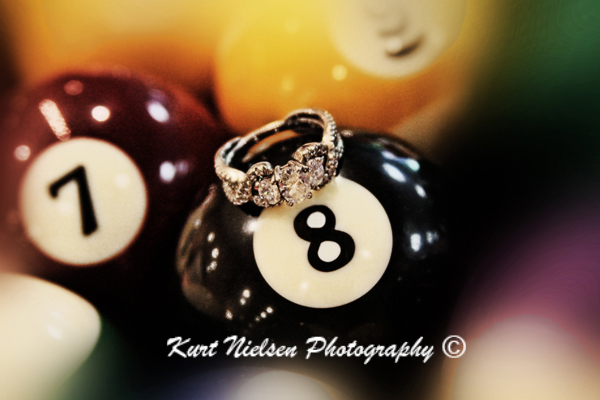 He popped the question, and now you get to start planning the wedding of your dreams! 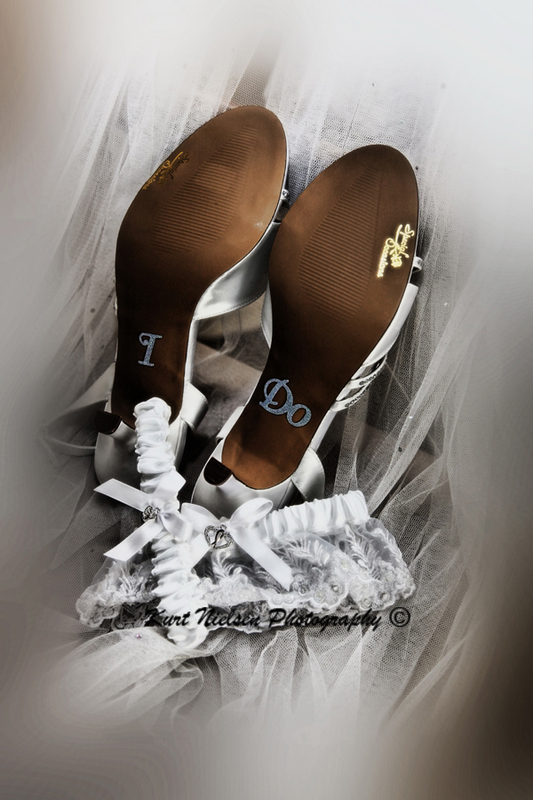 and all the accessories for your special day. 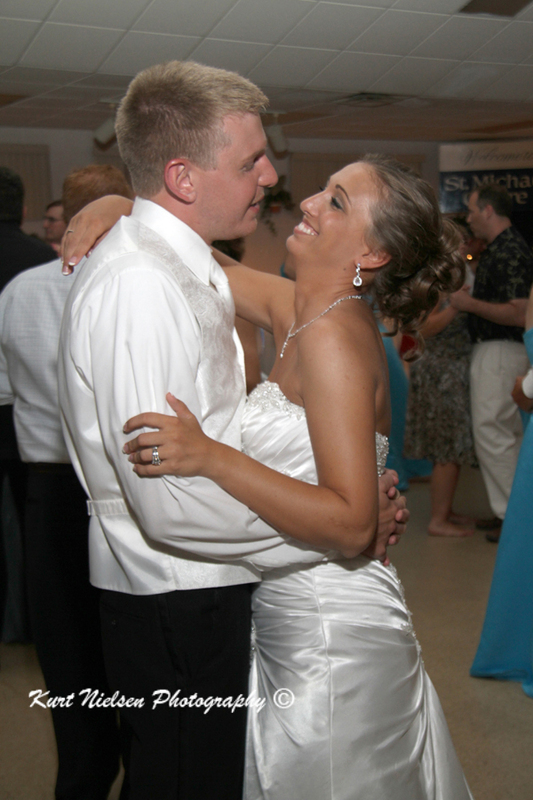 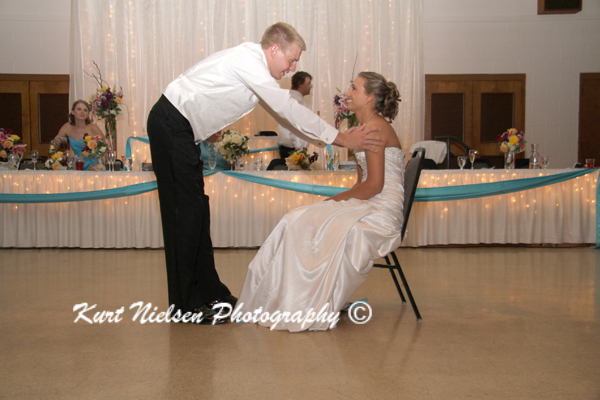 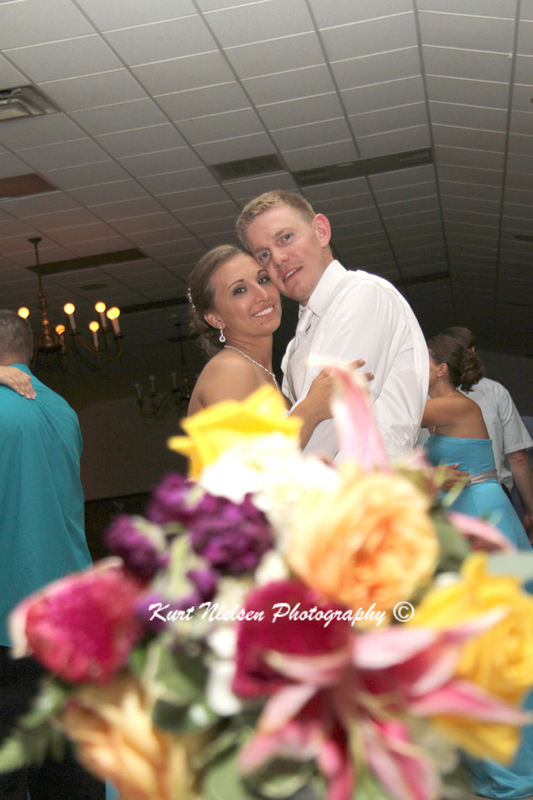 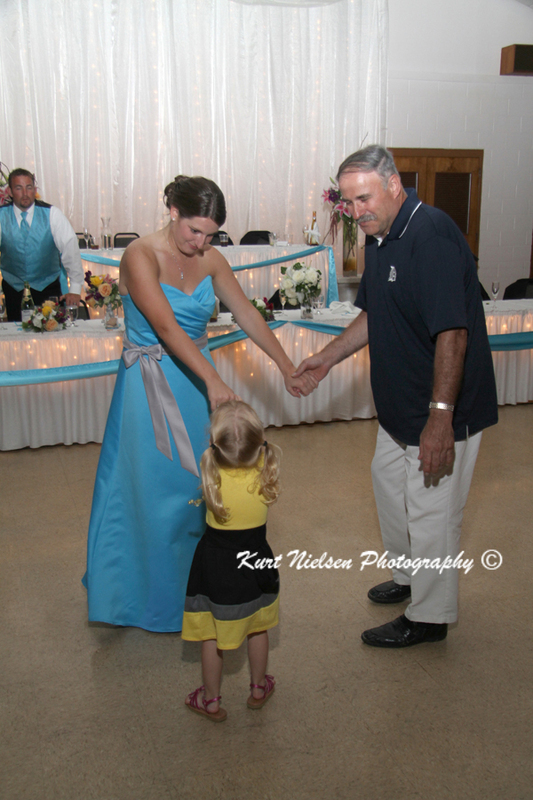 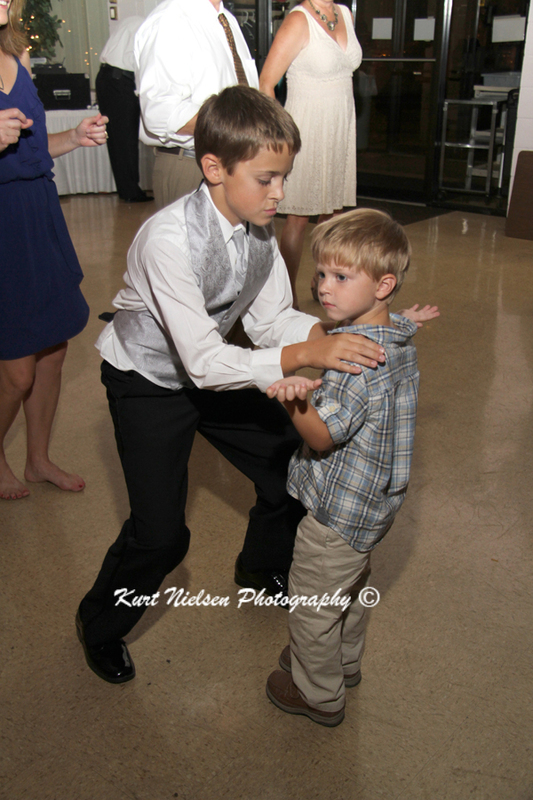 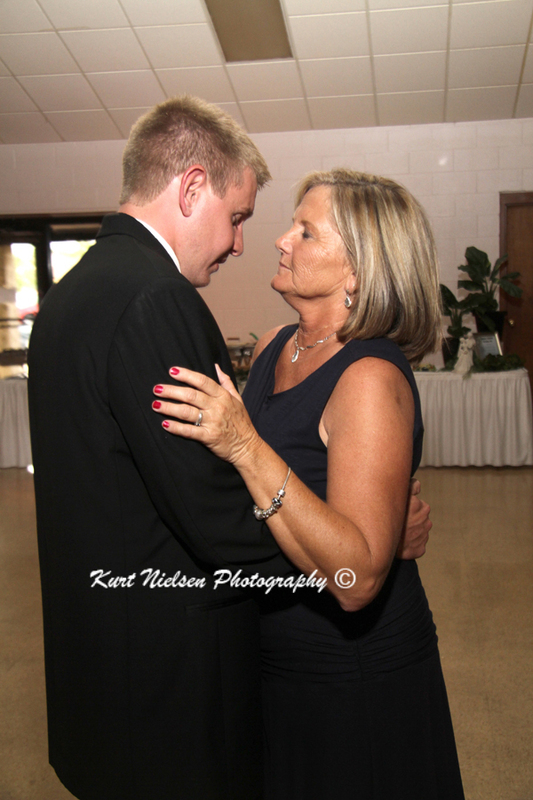 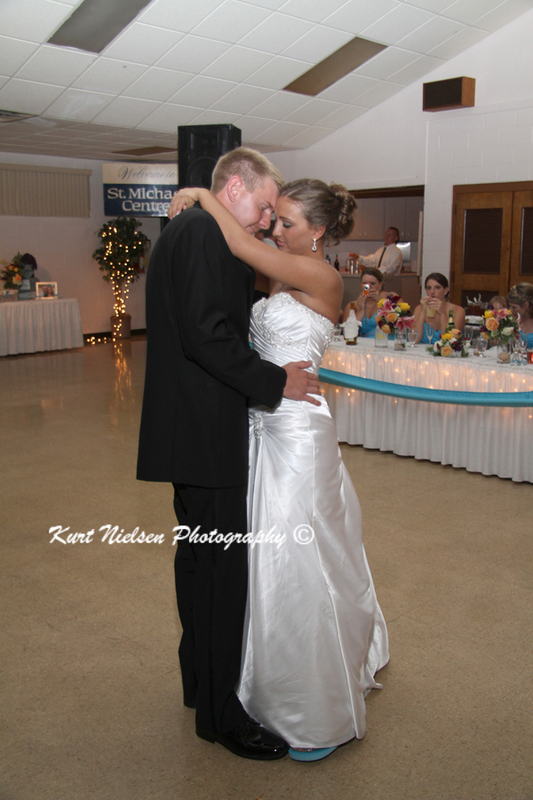 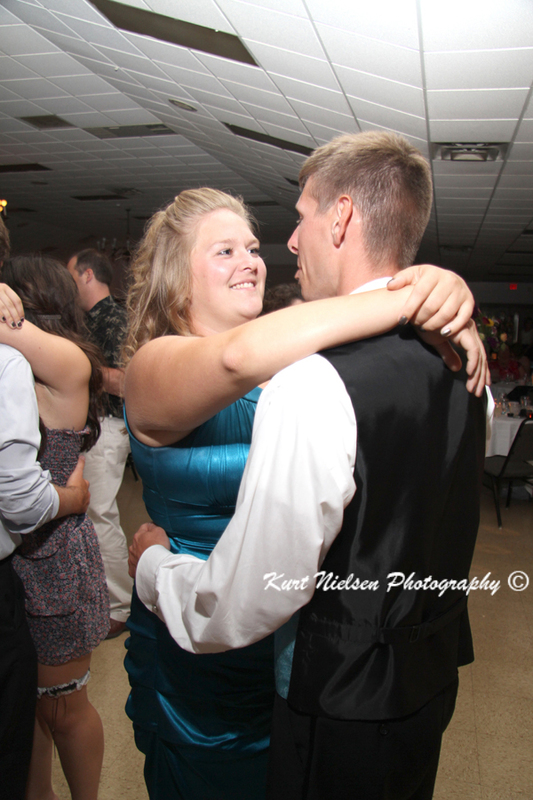 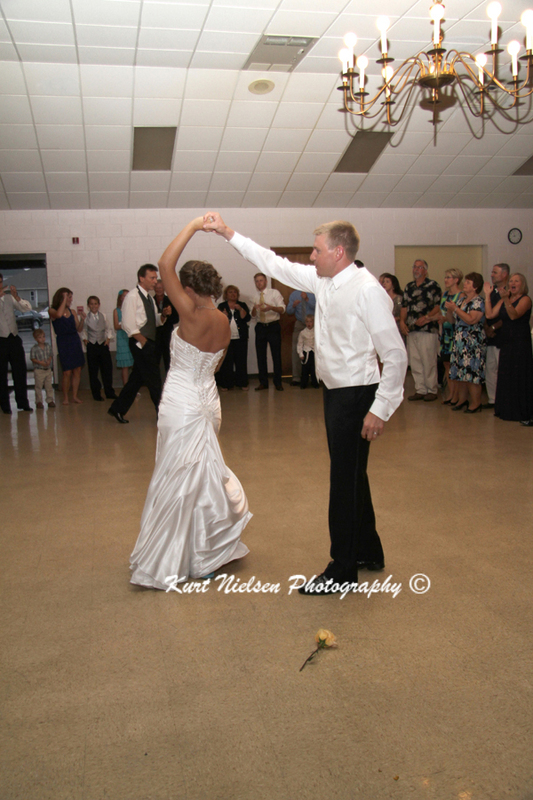 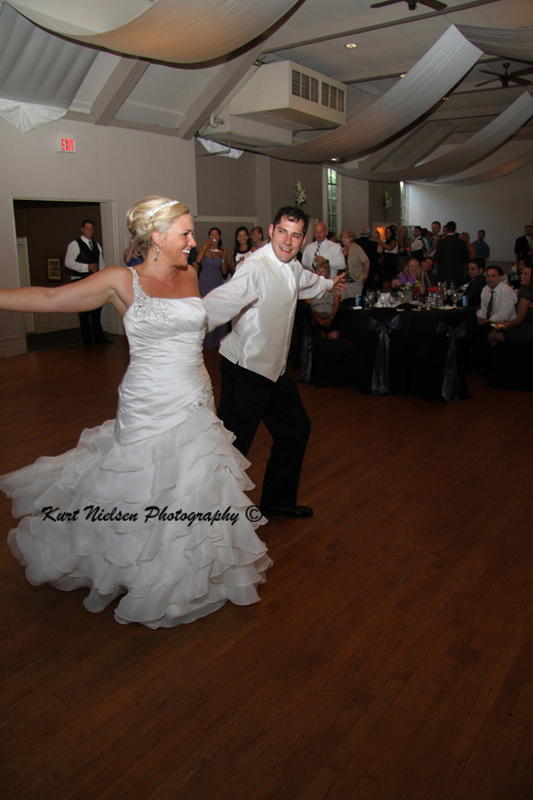 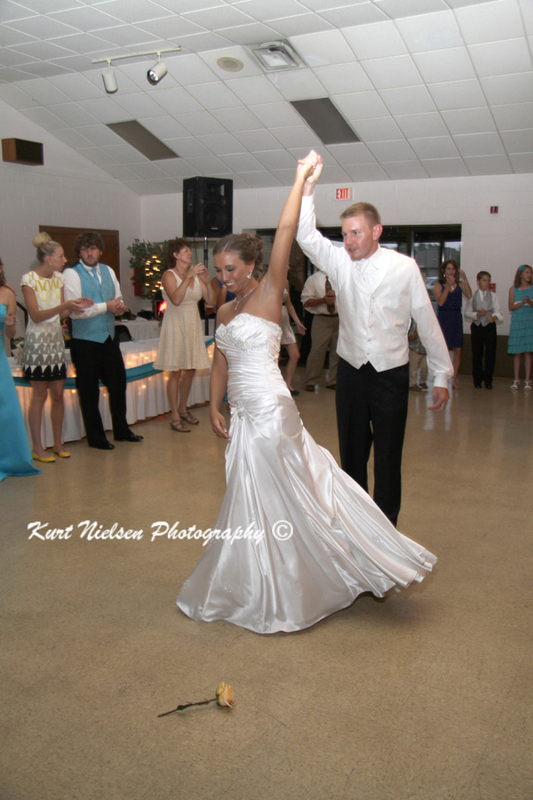 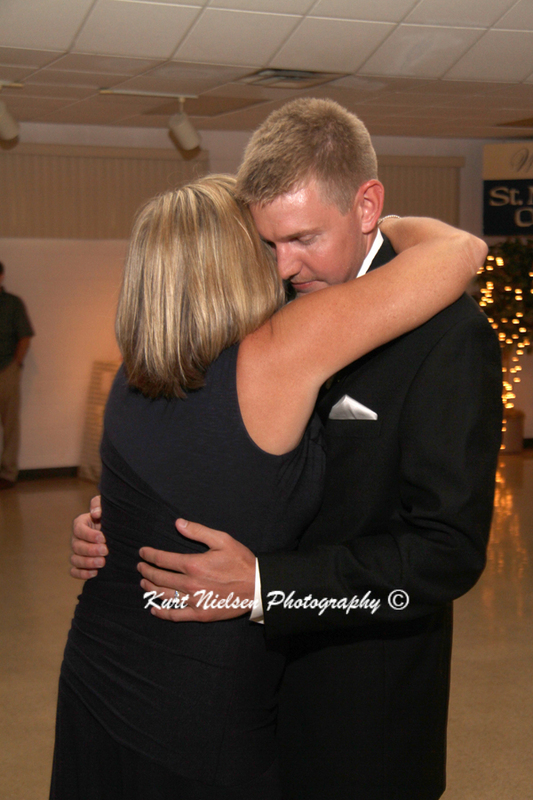 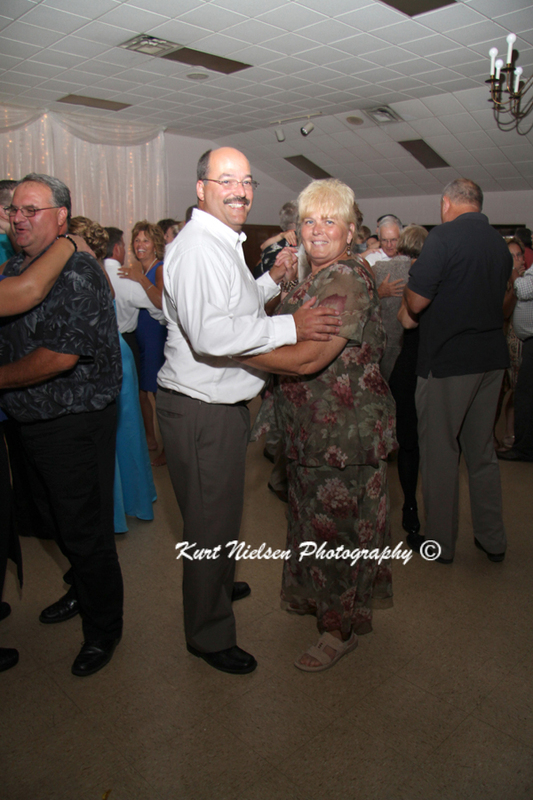 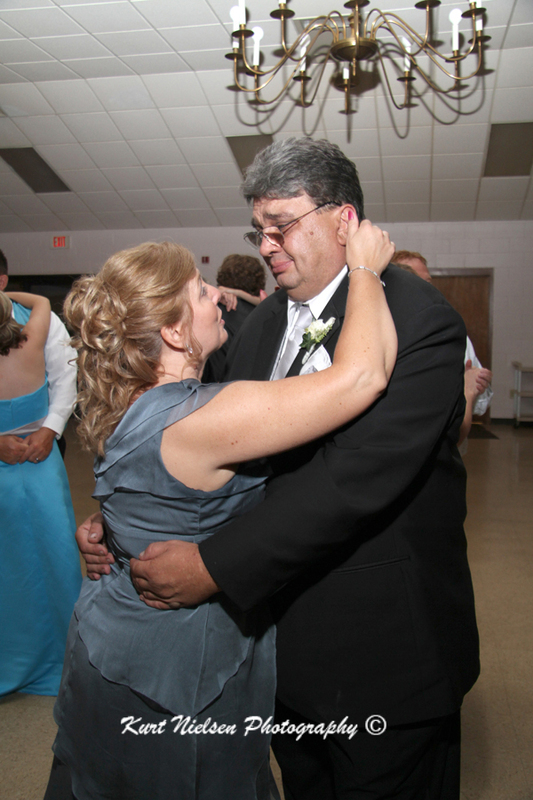 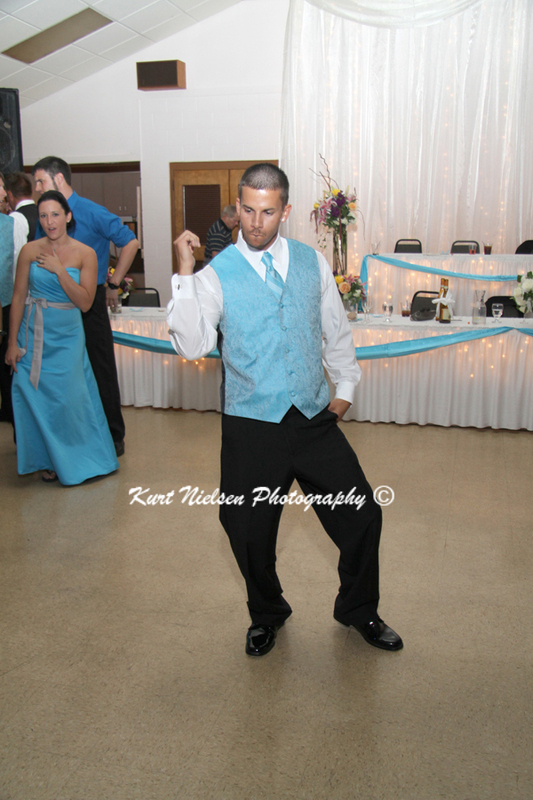 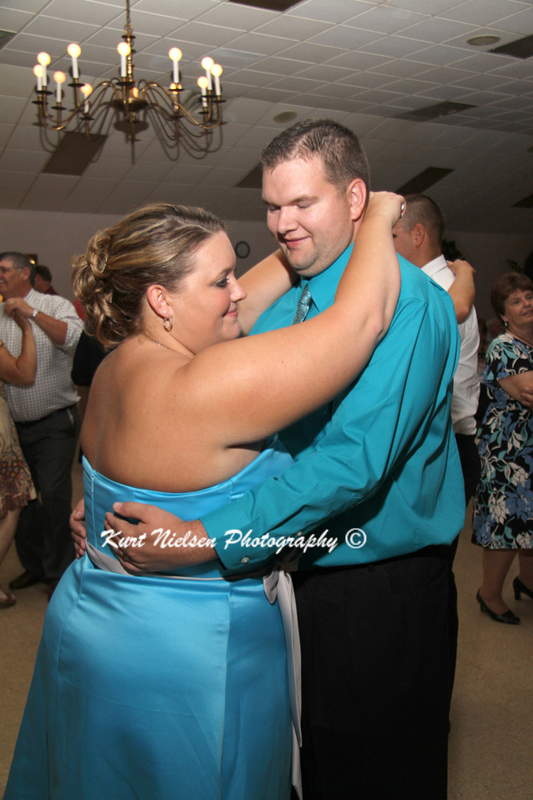 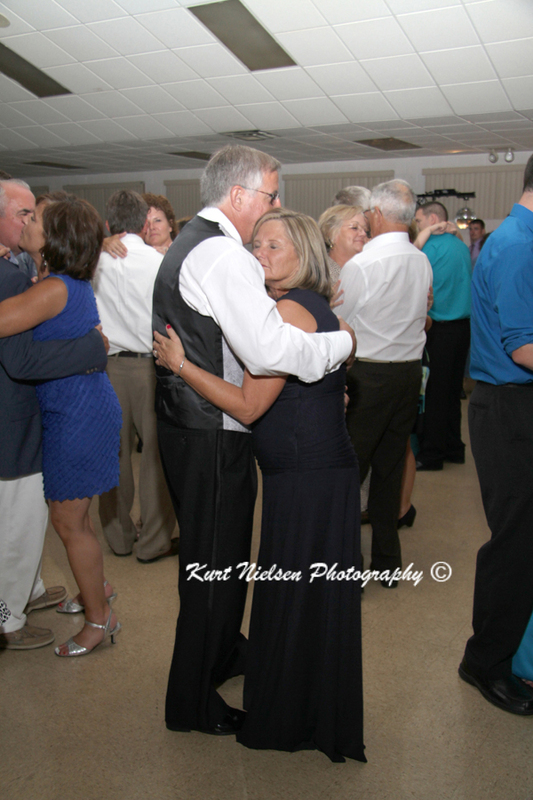 You can even meet dance instructors to help you with that first dance! 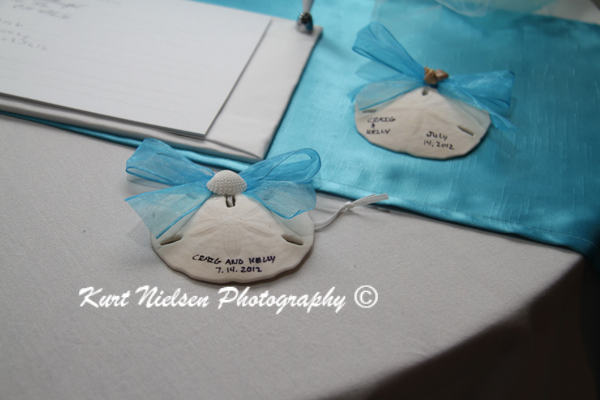 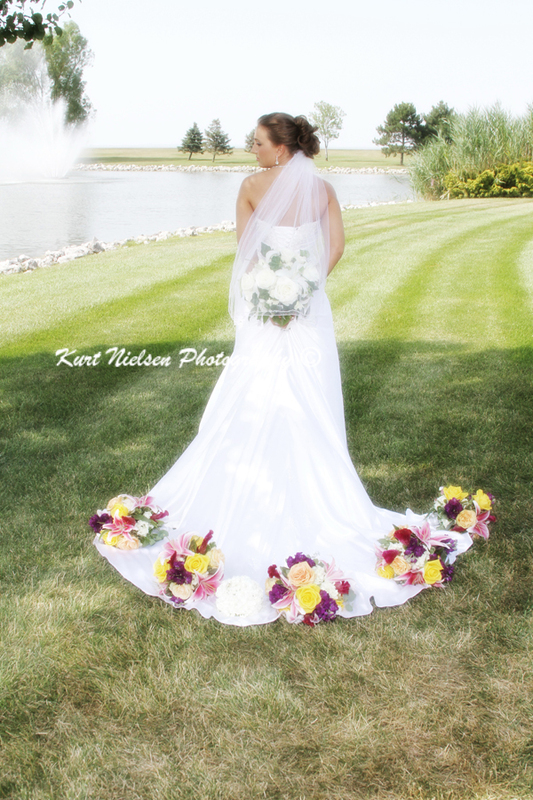 Don’t forget to stop and talk with the wedding planners that will be at the show. 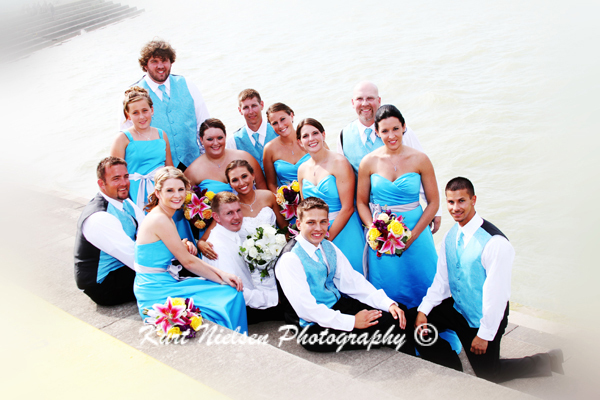 They can help you with all of the details of your day that you may not think of! 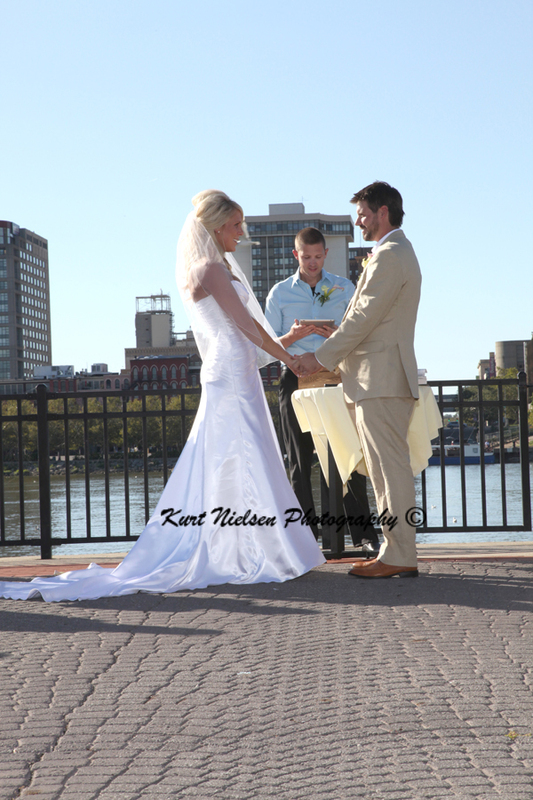 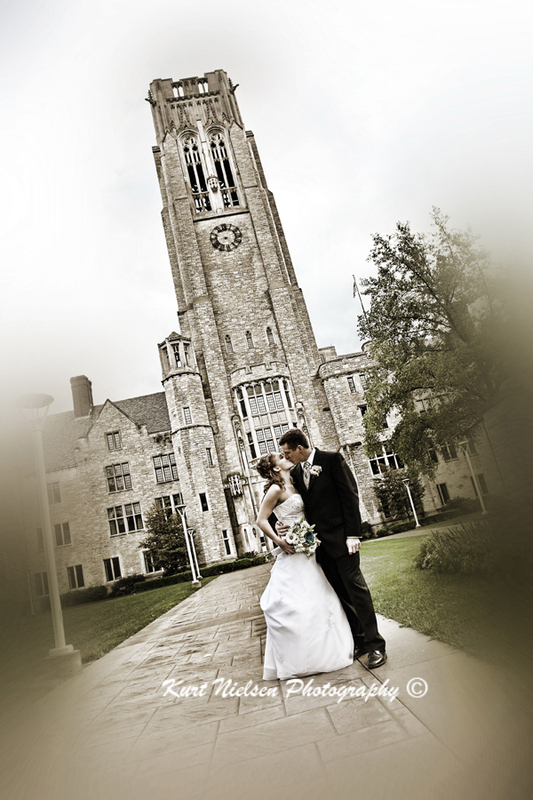 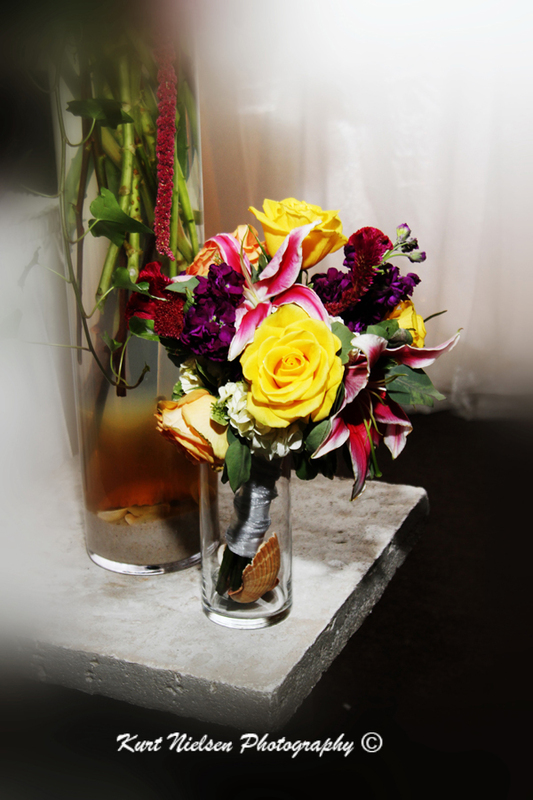 to say I Do and to plan the wedding of your dreams! 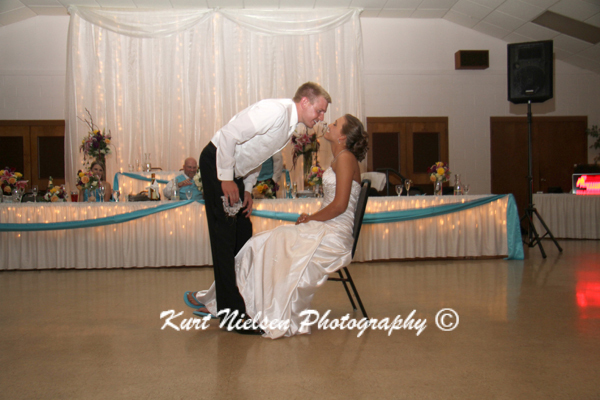 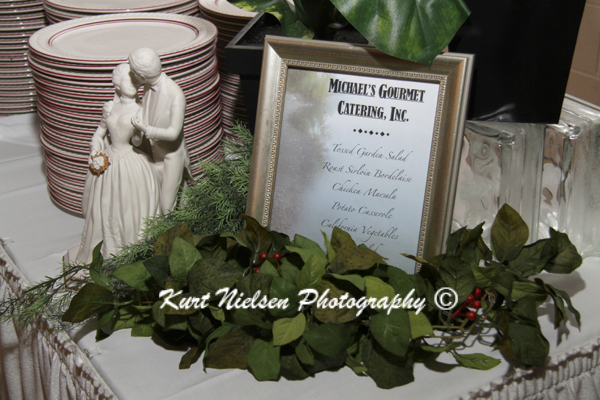 Don’t forget to stop by my booth at Premier Banquet Complex to check out Kurt Nielsen Photography and my Kurt’s Kustom Keepsakes green screen photo booth! 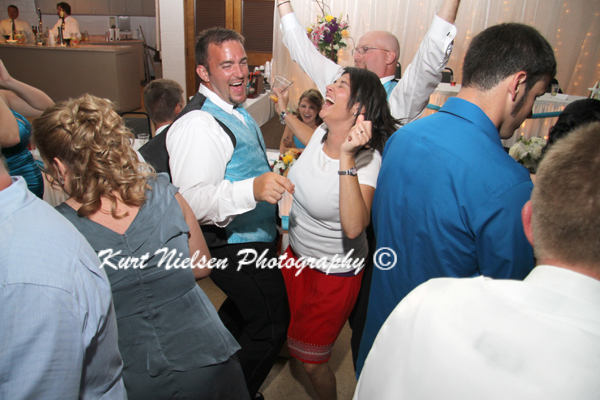 Try not to get too overwhelmed and have some fun! 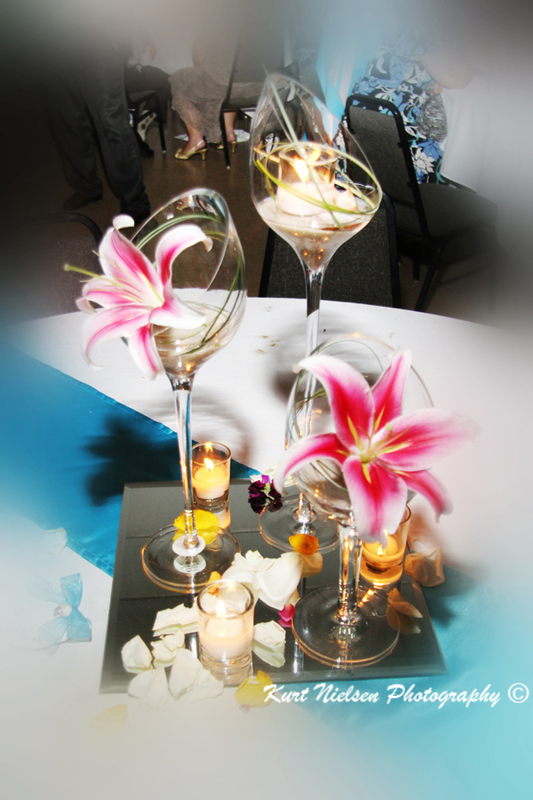 What could be better than finding all of your wedding professionals in one place? 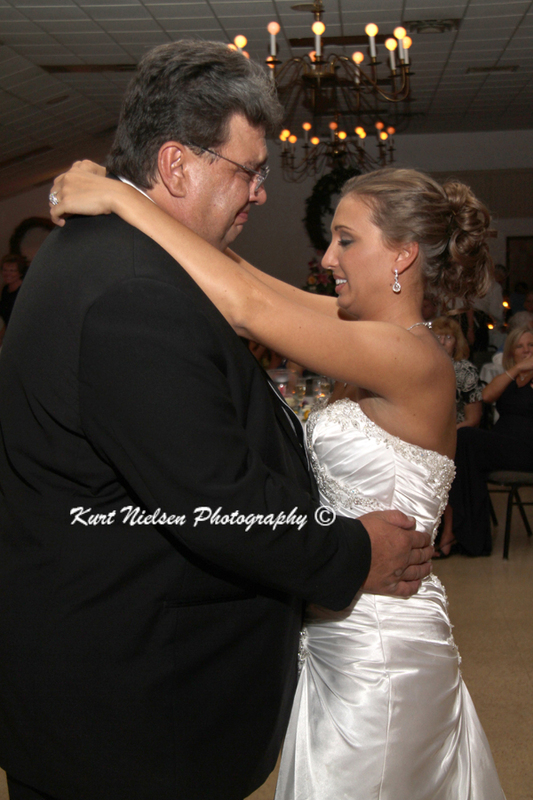 Click Here for a sneak peek at my bridal show special exclusive to attendees of the Sounds of Music DJs Superbowl of all Bridal Shows and tips for attending the show! 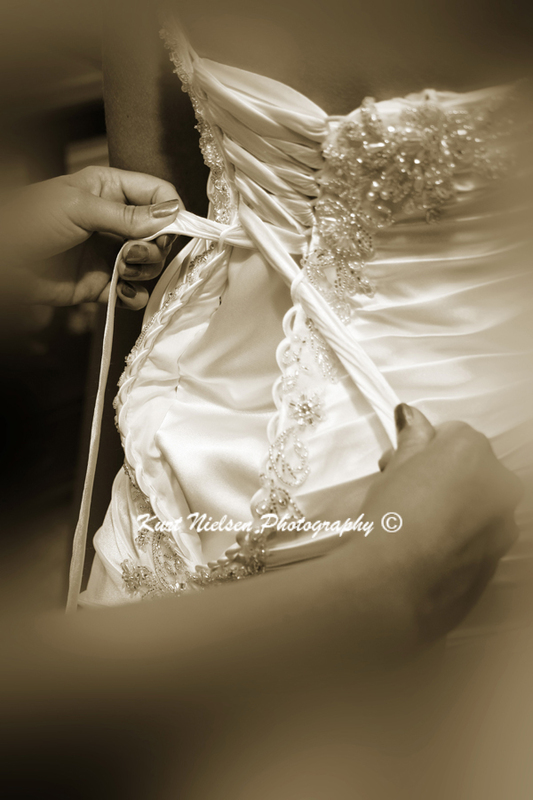 I’ve recently been asked by a wedding planner, whom I have never worked with before, how I can get all of the details of the wedding and be able to capture all of the candid moments without a second shooter. 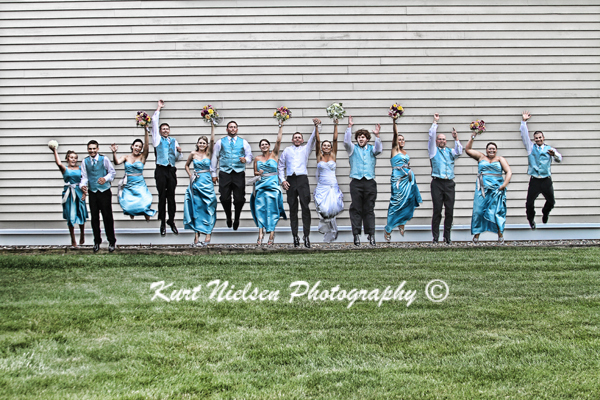 I thought i would use this blog post to show that with all of my years of experience as a wedding photographer, it can be done! 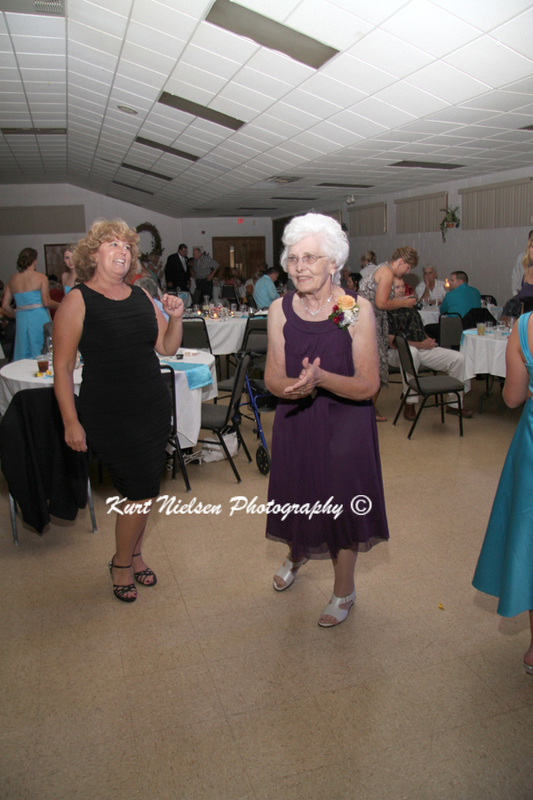 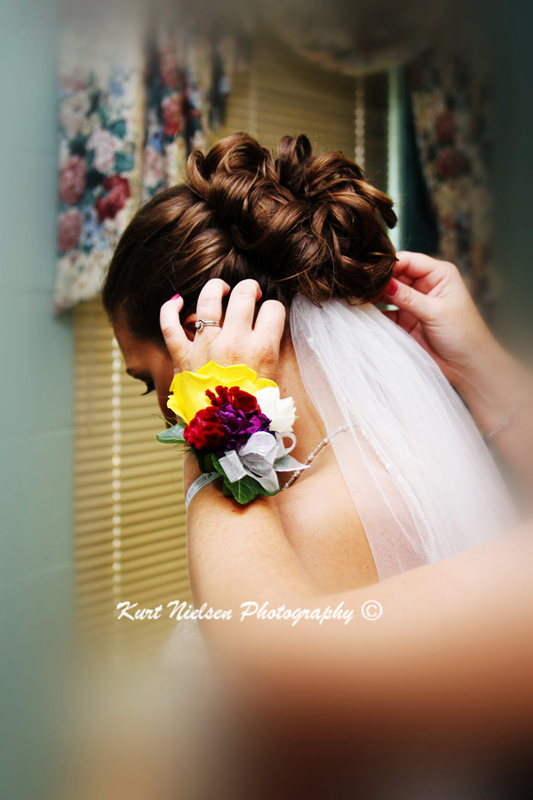 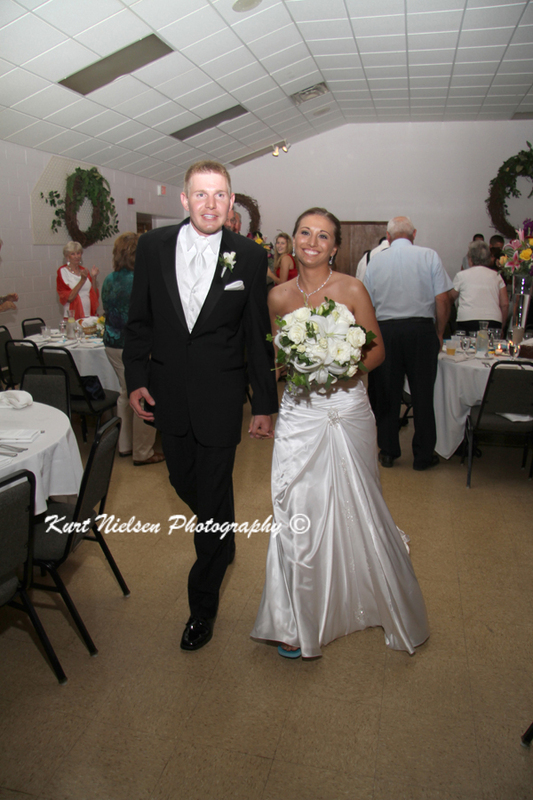 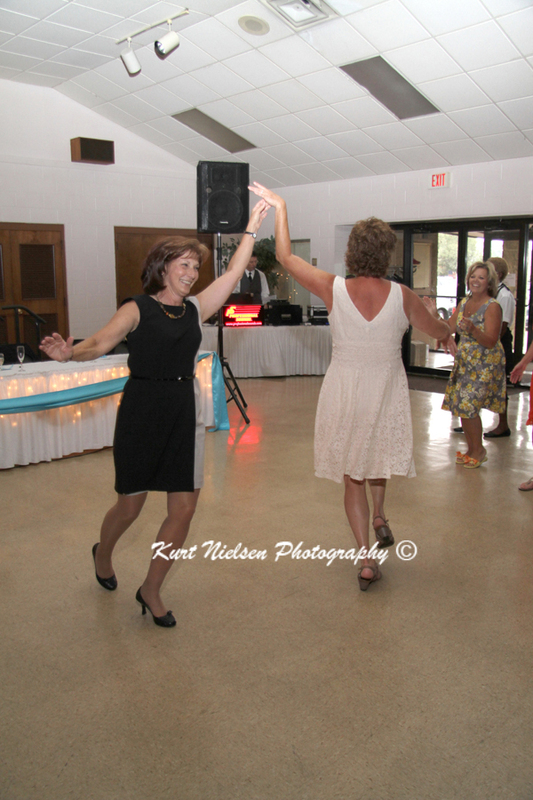 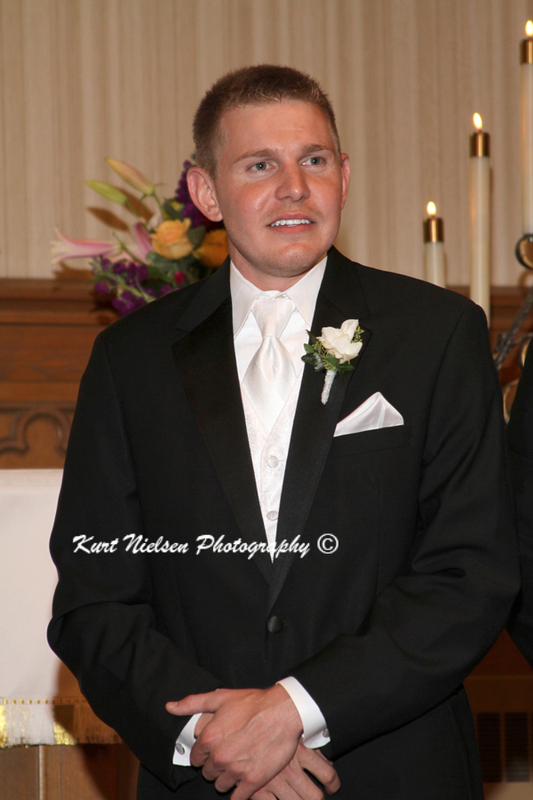 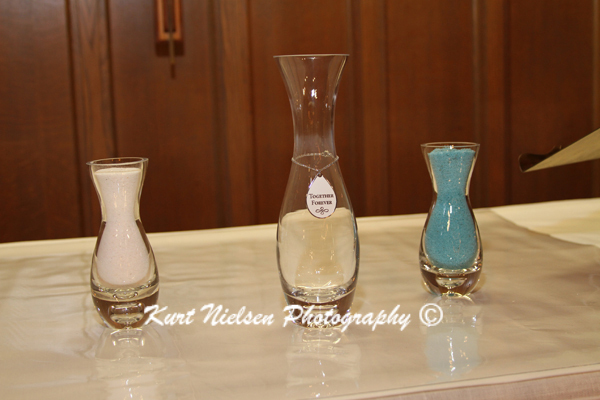 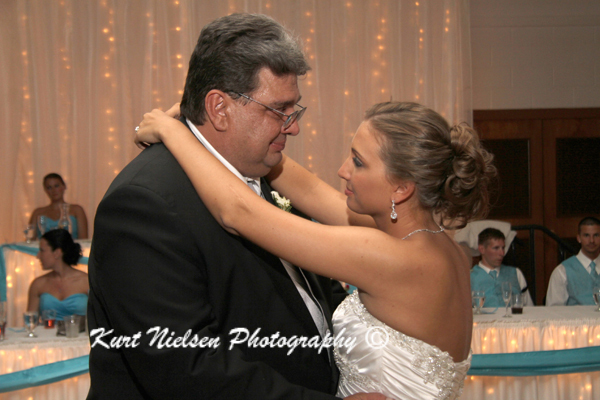 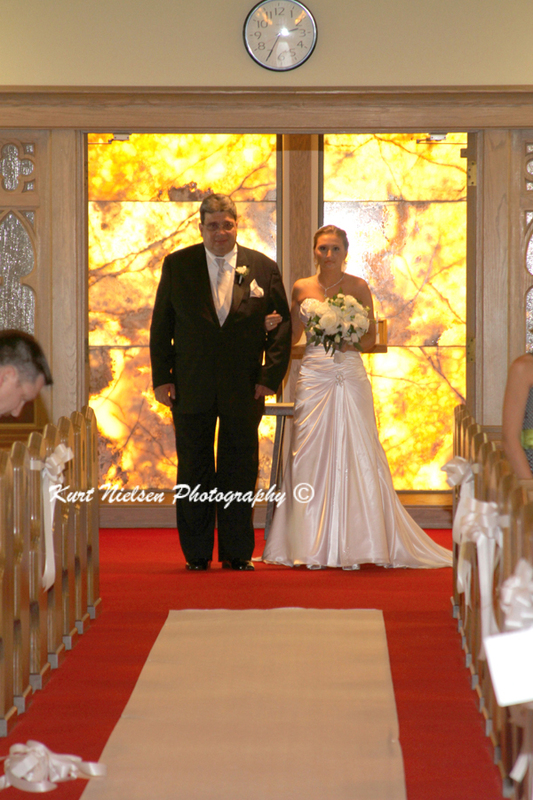 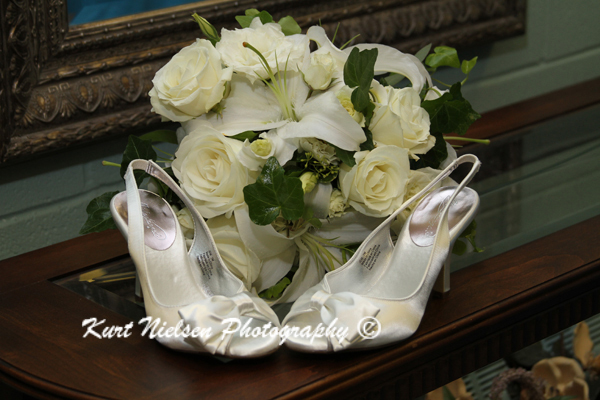 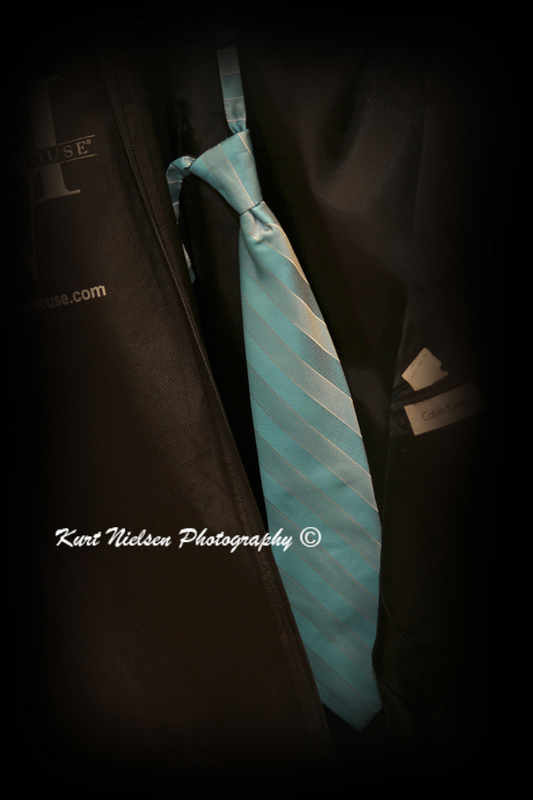 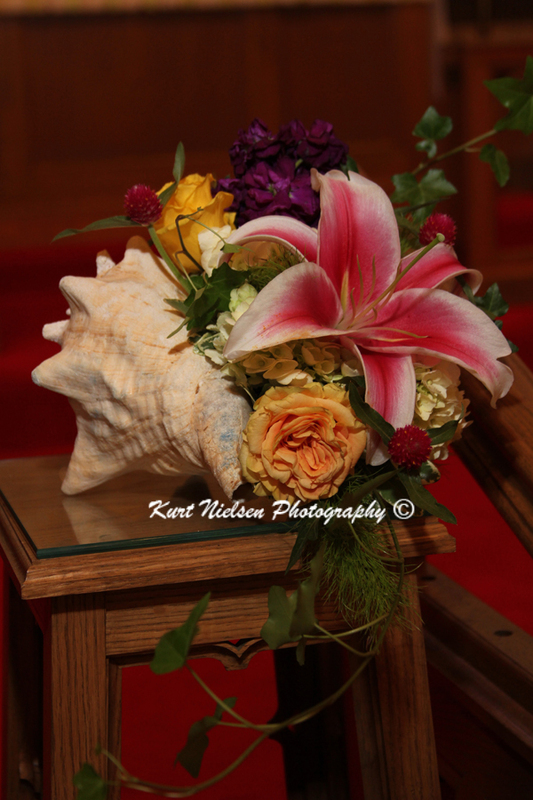 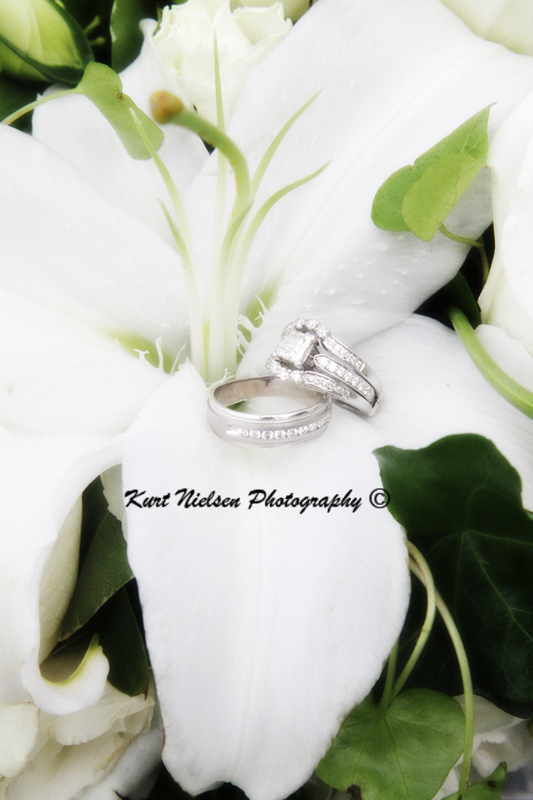 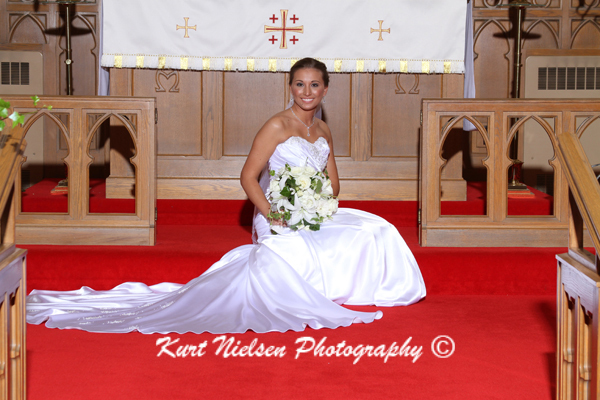 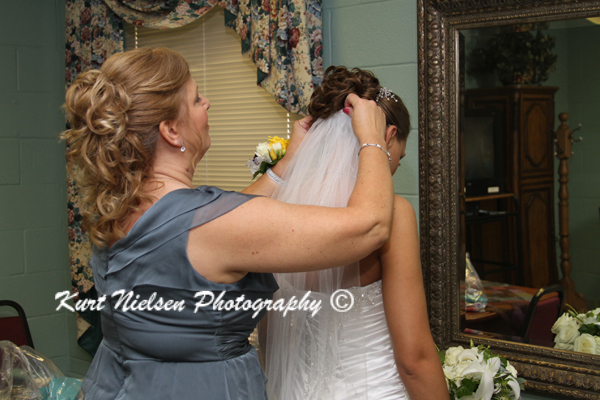 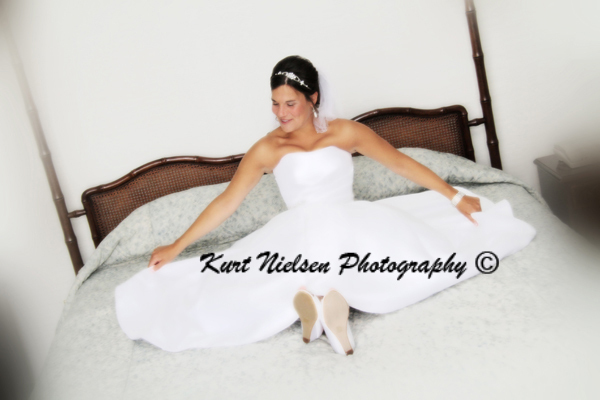 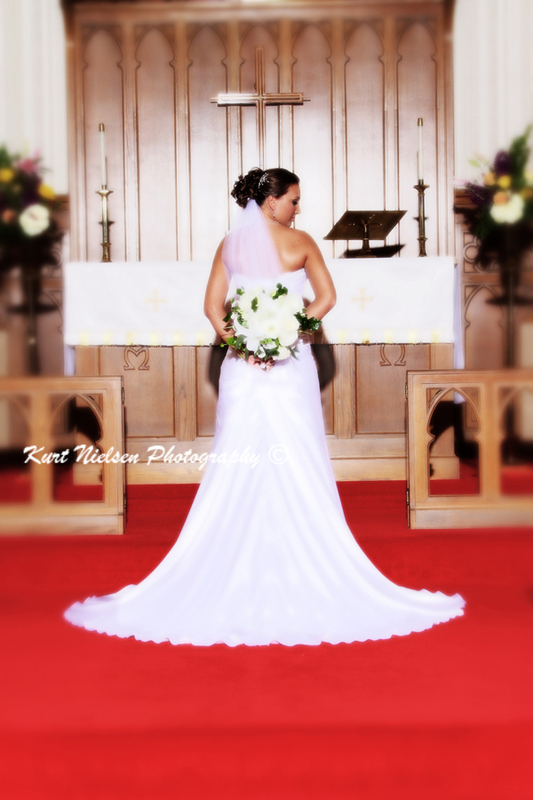 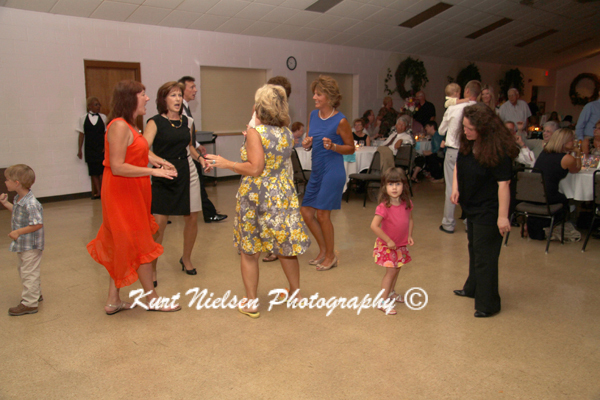 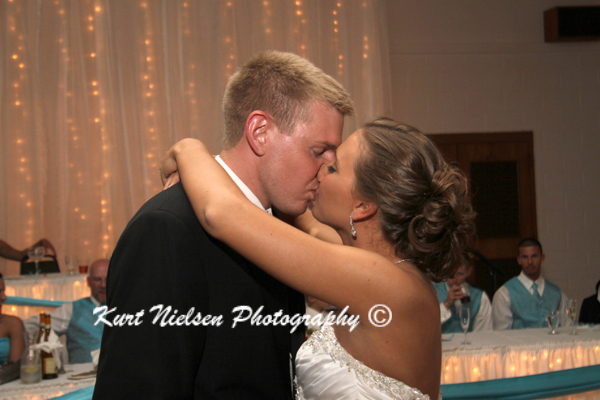 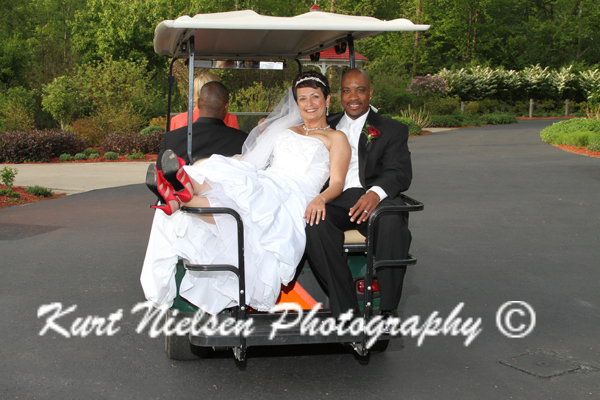 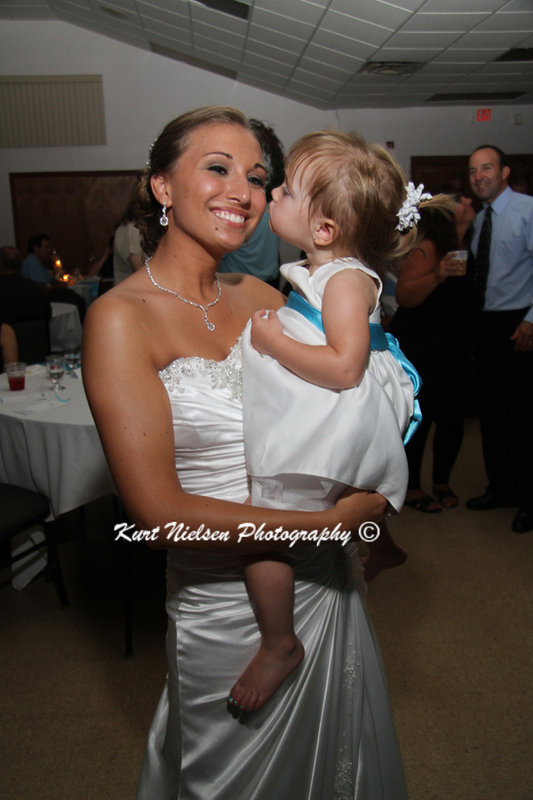 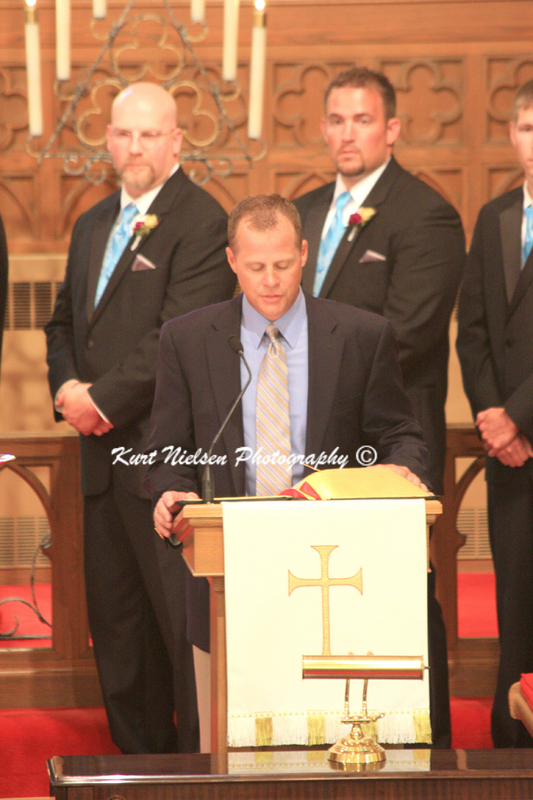 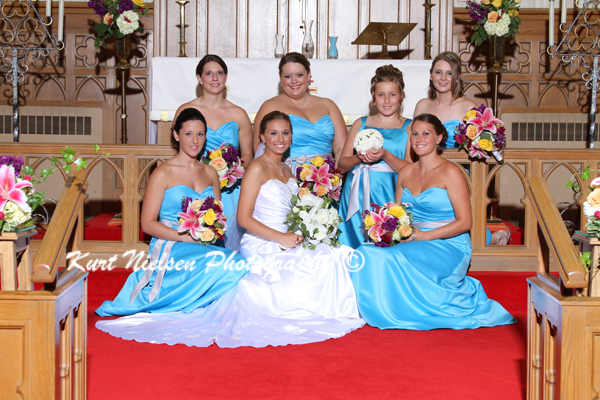 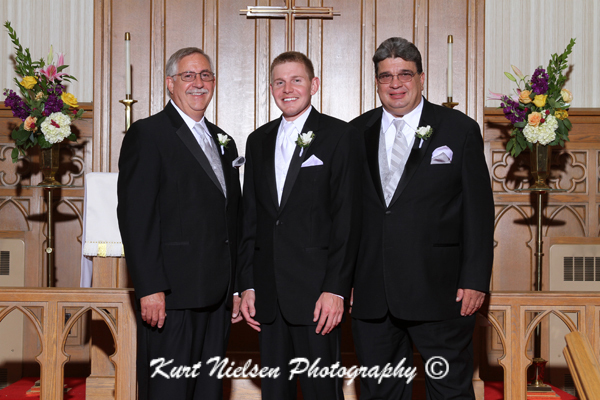 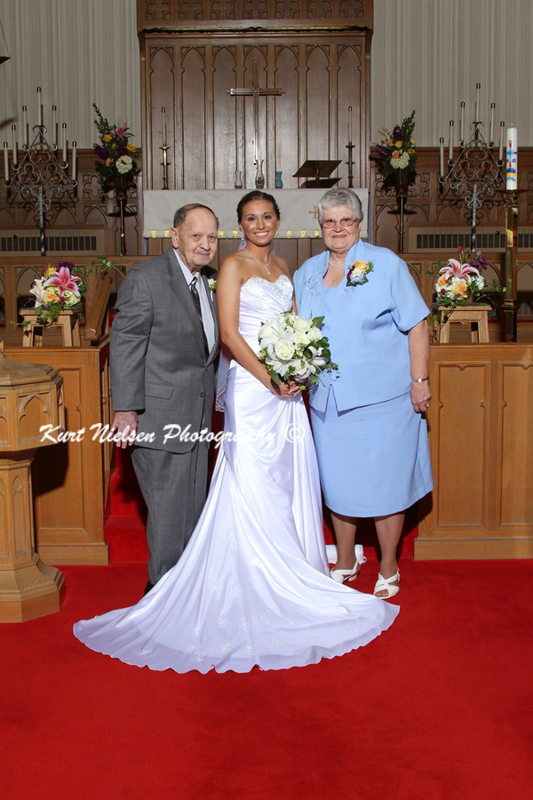 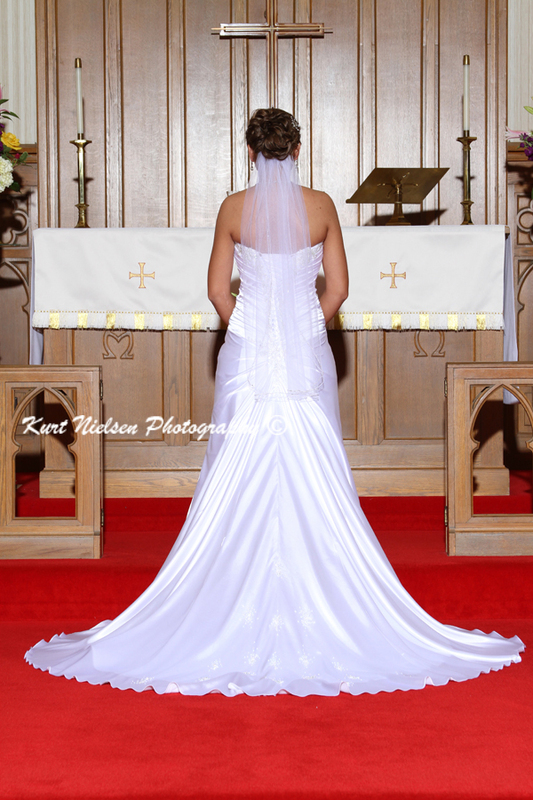 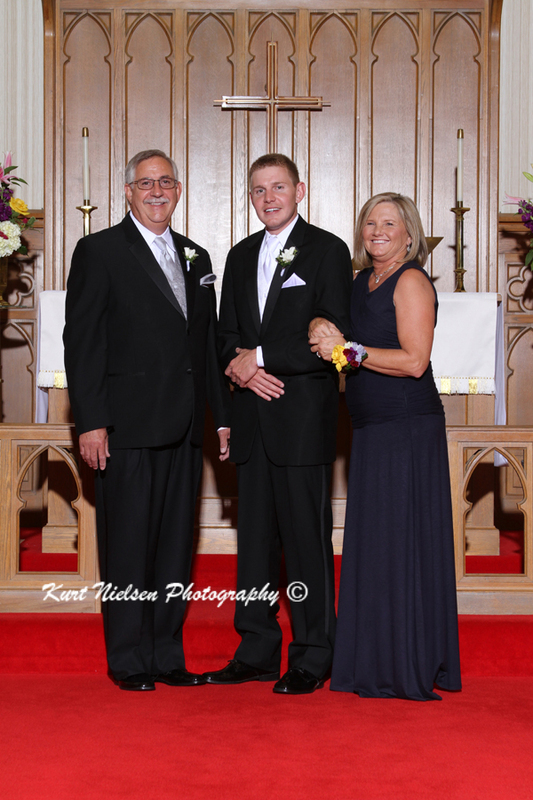 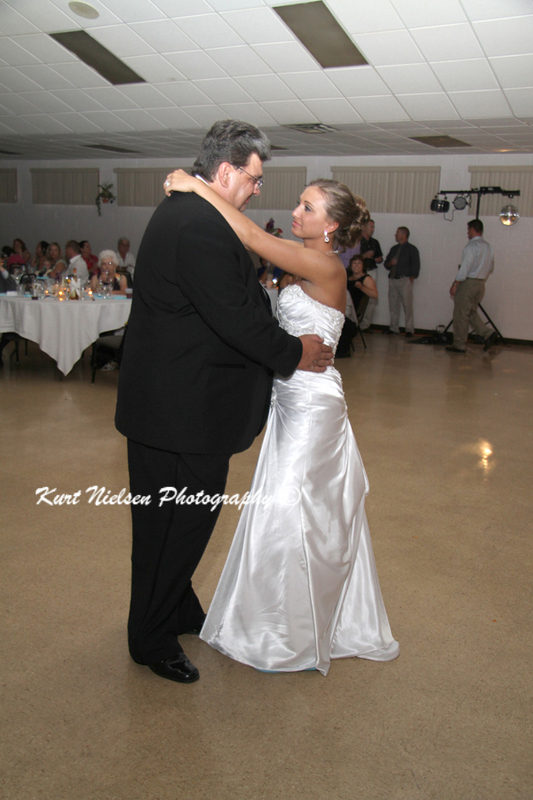 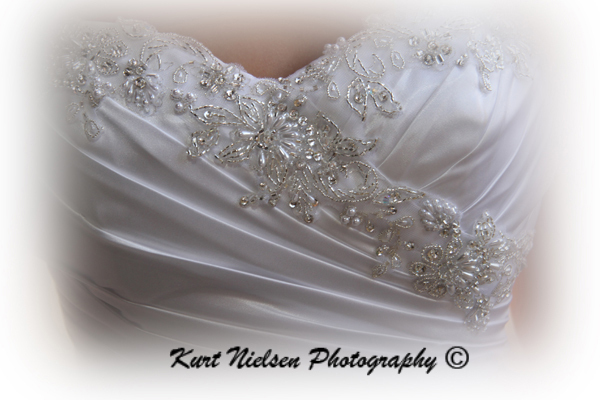 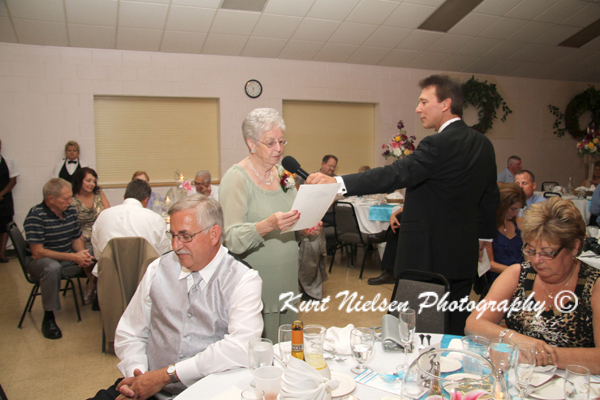 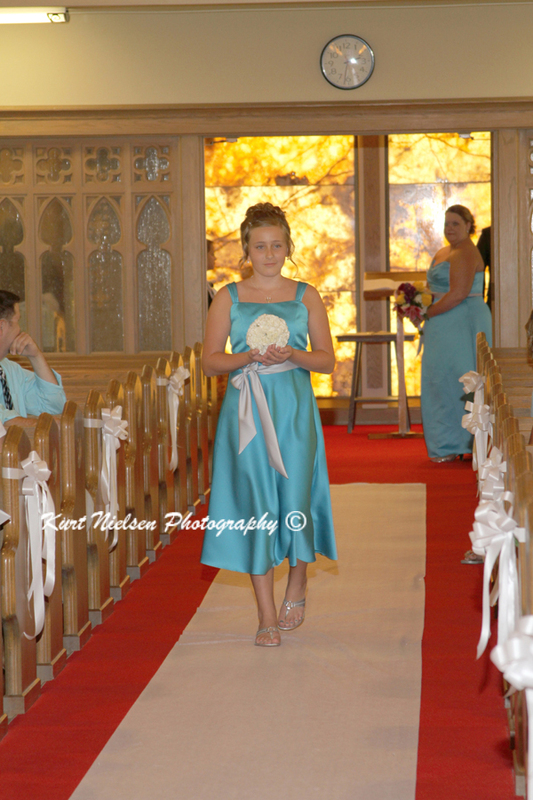 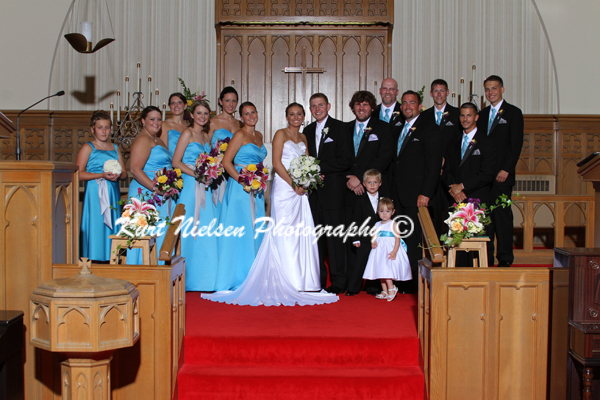 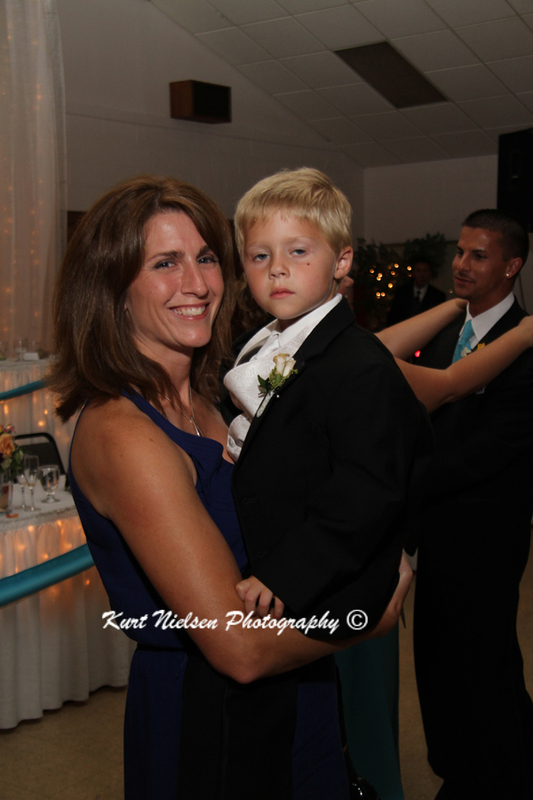 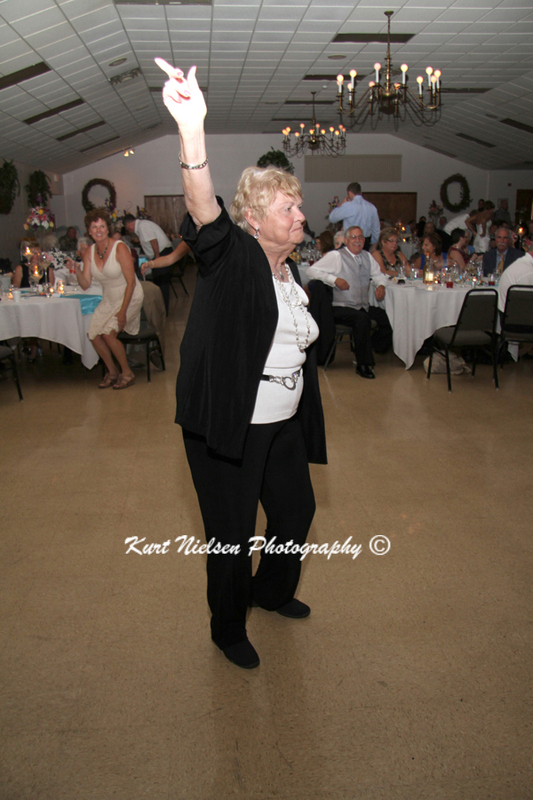 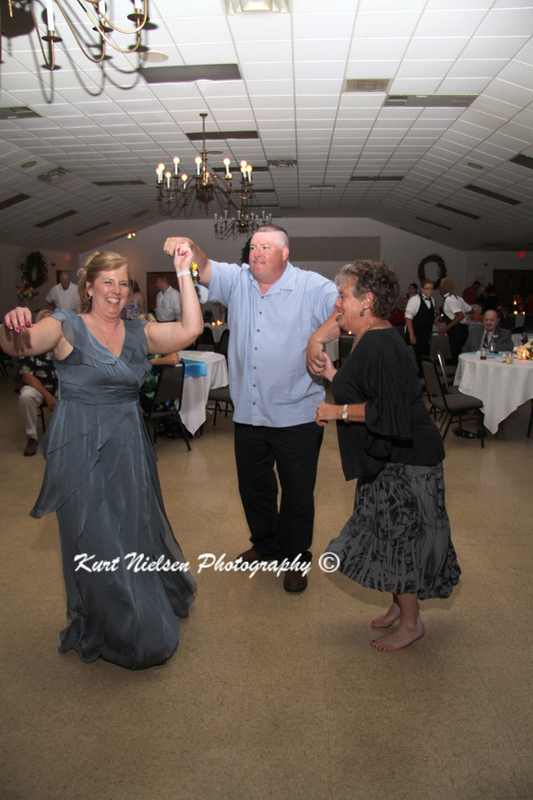 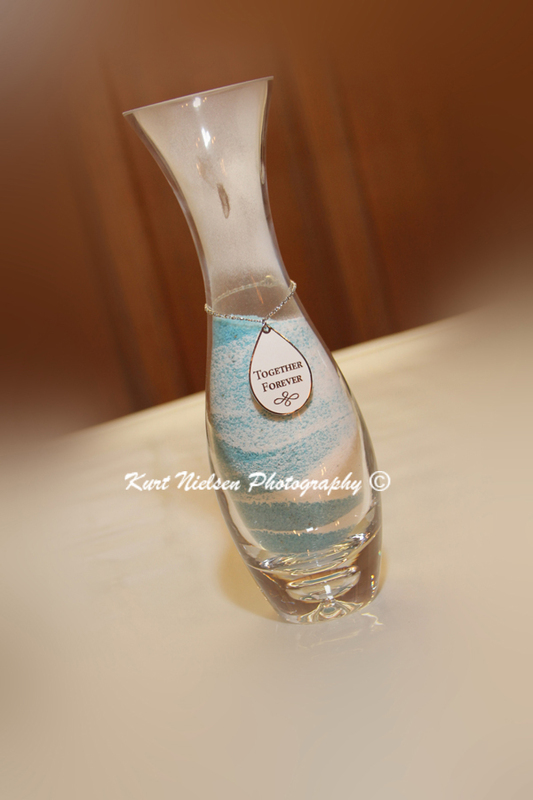 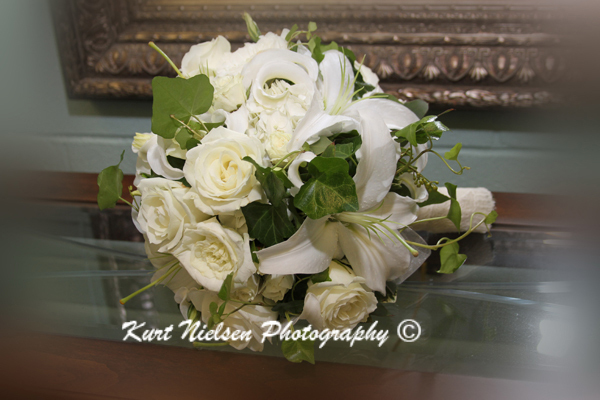 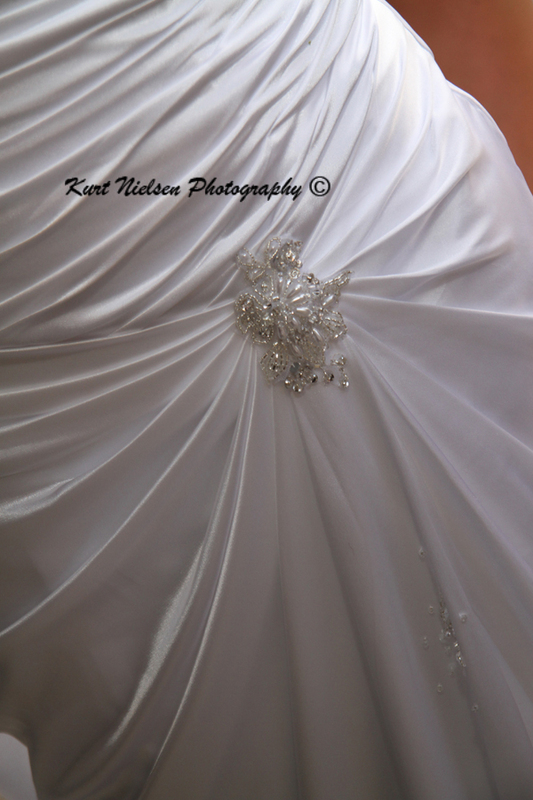 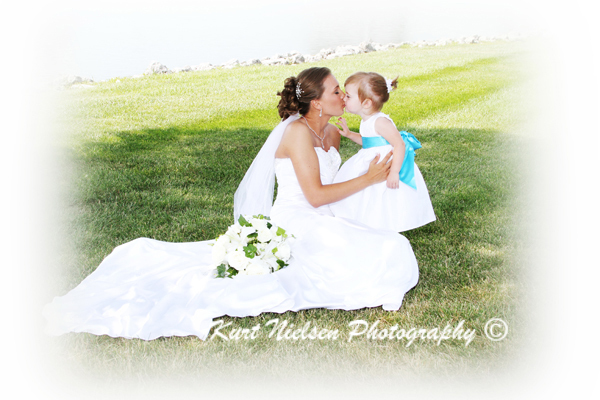 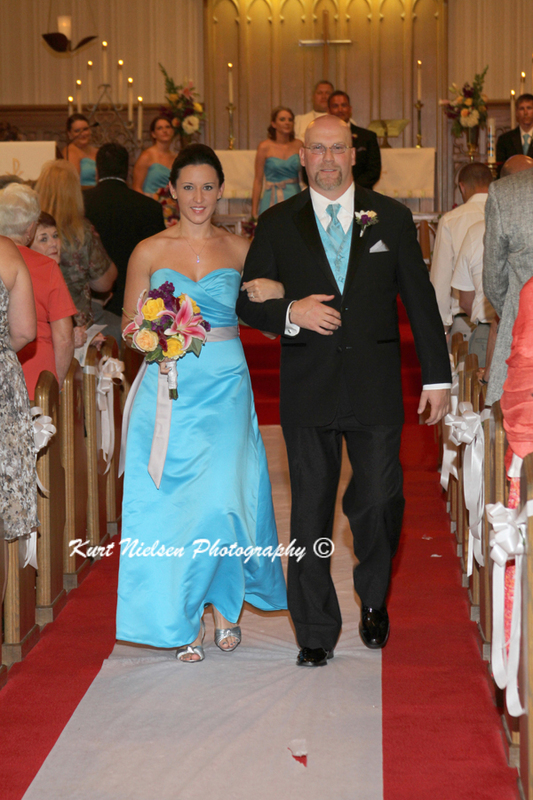 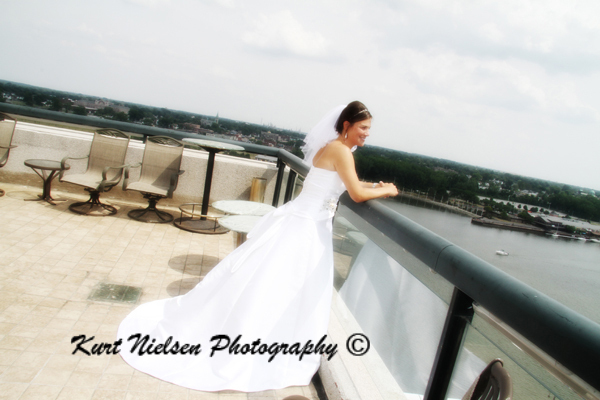 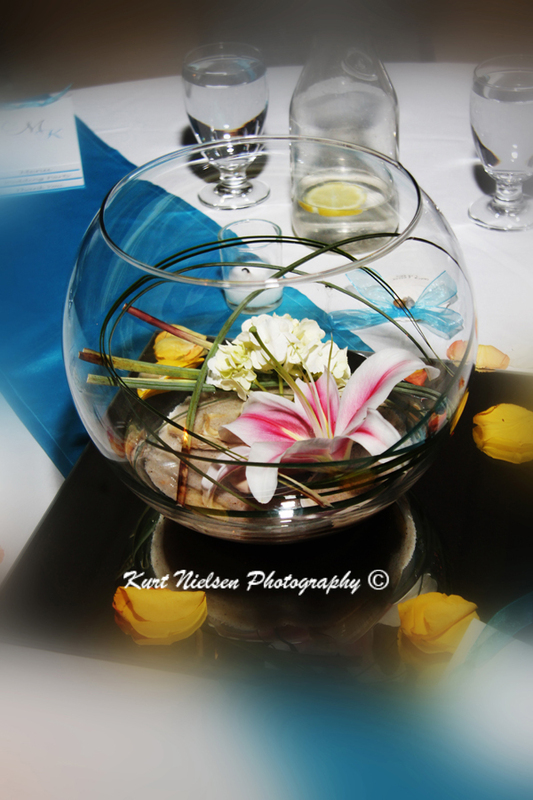 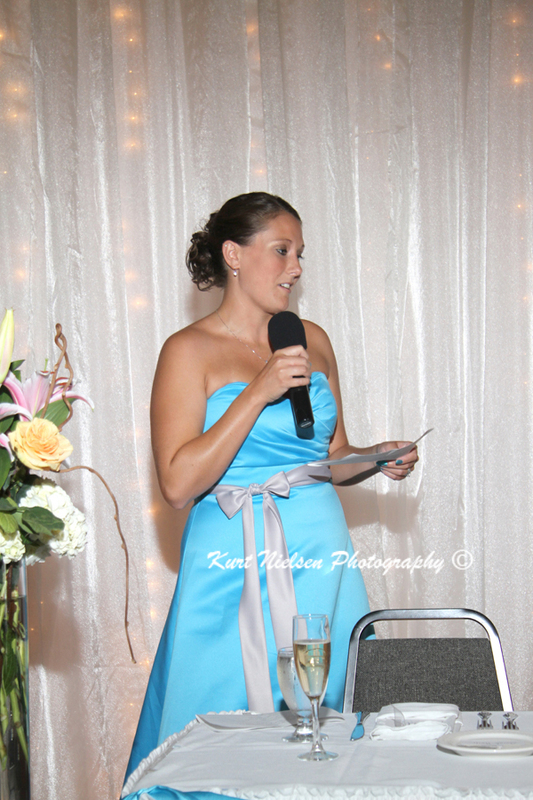 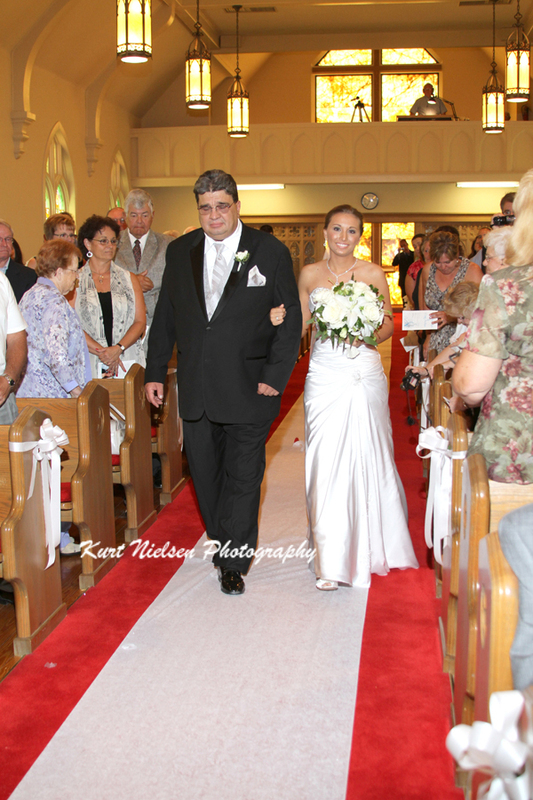 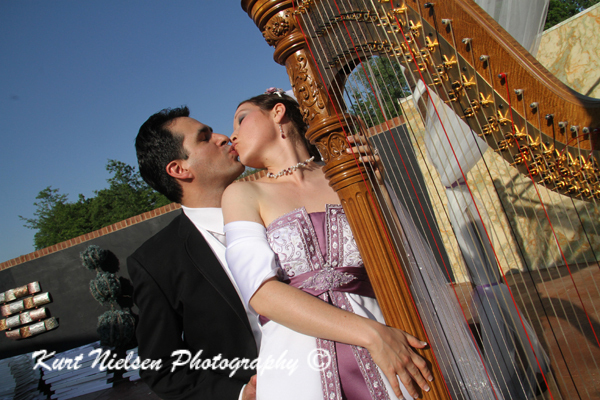 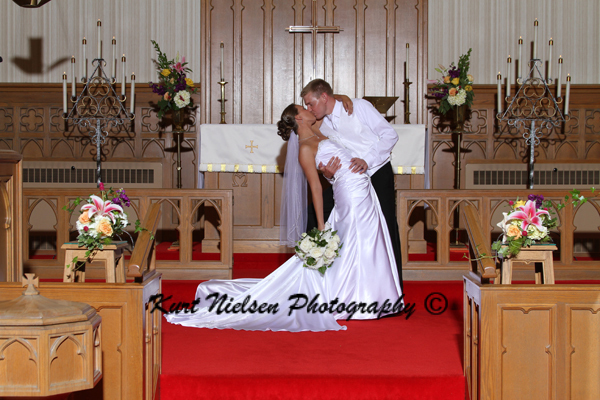 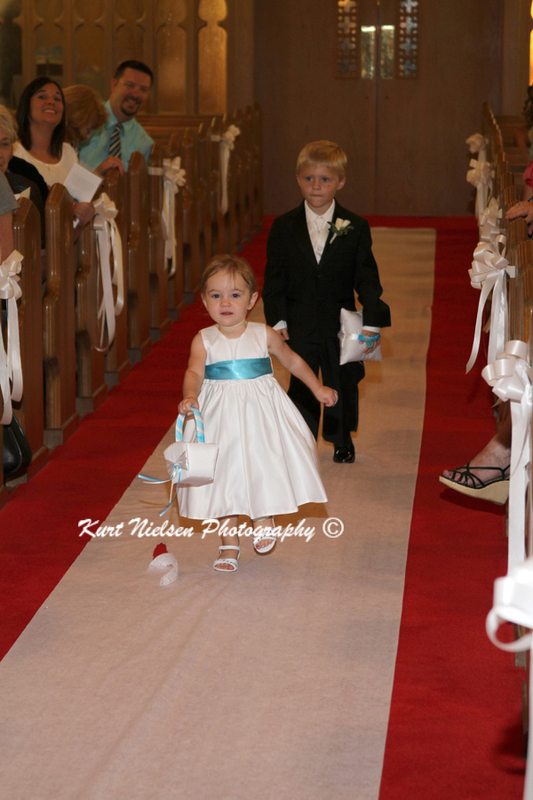 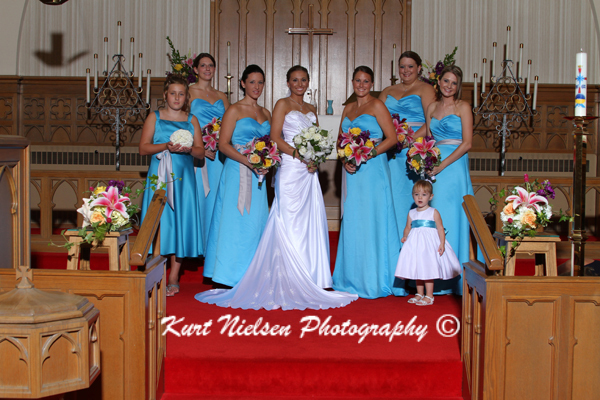 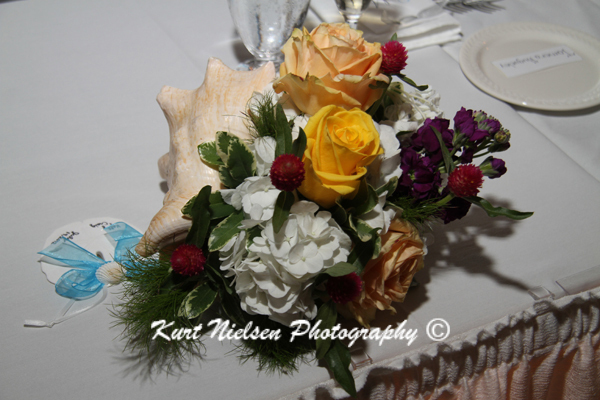 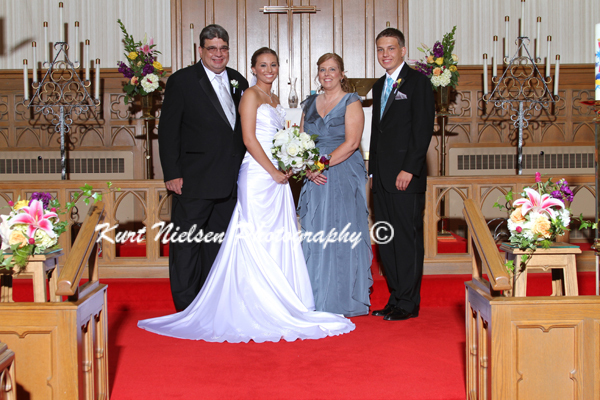 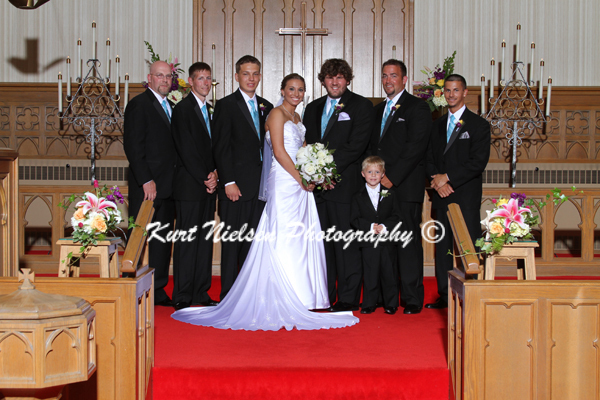 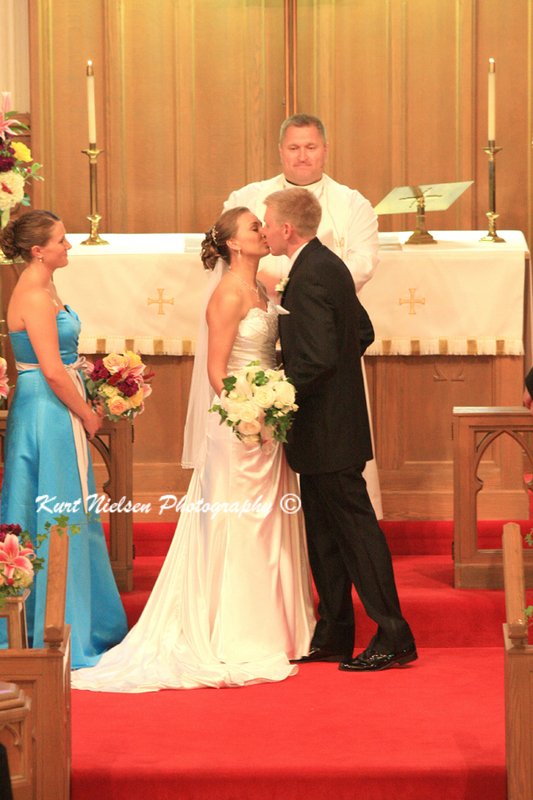 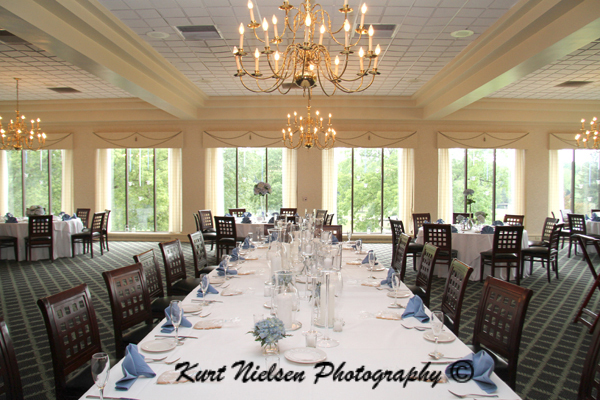 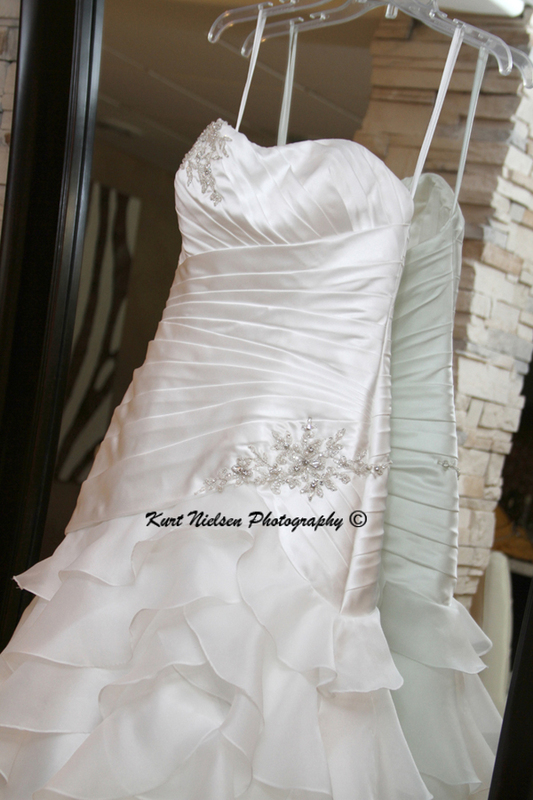 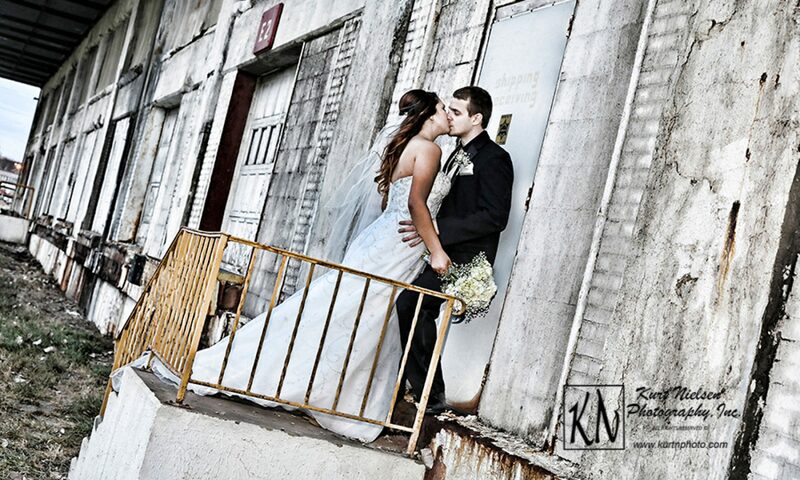 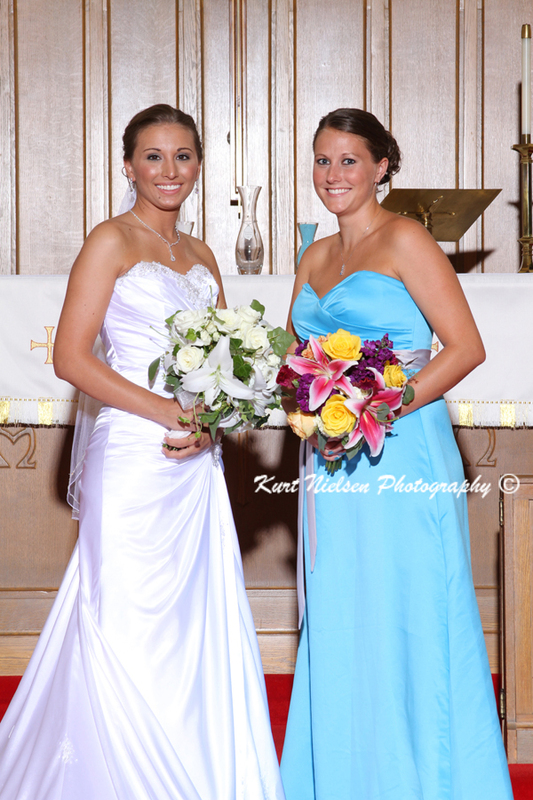 I have been photographing weddings for over 25 years and have always worked alone. 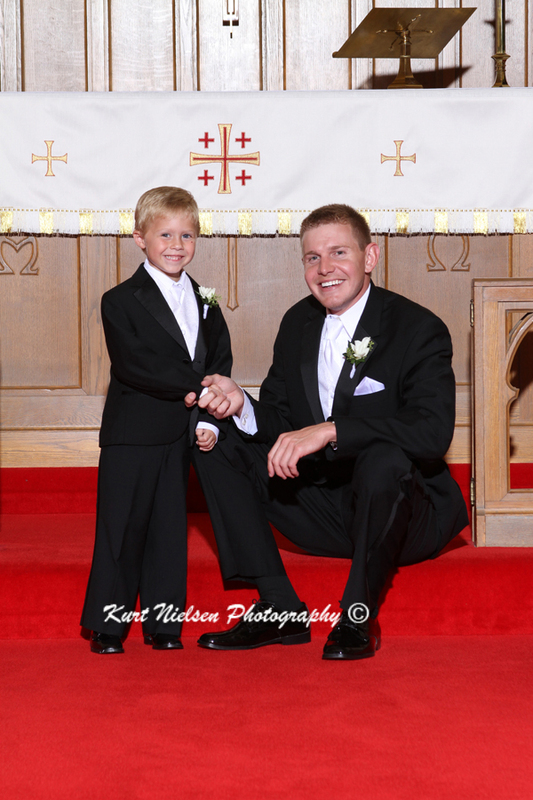 The popularity of having a second shooter is a recent trend within the last 5 years or so that was started by newer photographers coming into the wedding photography business. 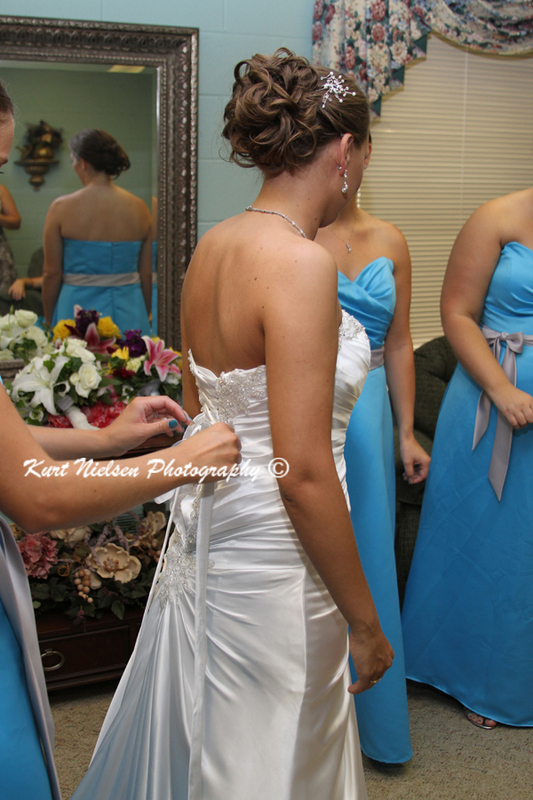 My years of experience, work ethic, attention to detail and ability to anticipate moments of the day and comradery with other wedding vendors that the brides and grooms have hired is the reason I have not needed a second shooter thus far. 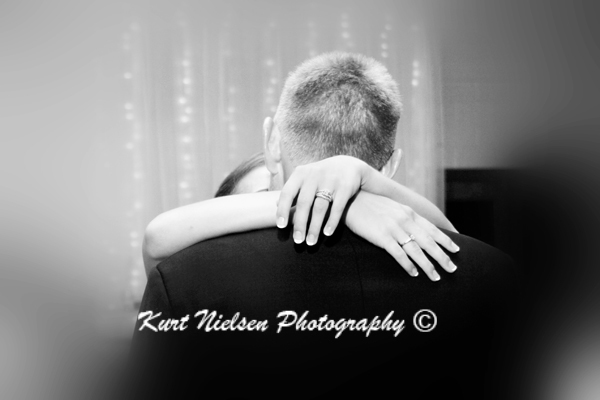 It is also the reason I am able to capture the images many of today’s trendy photographers need two people to get the job done. 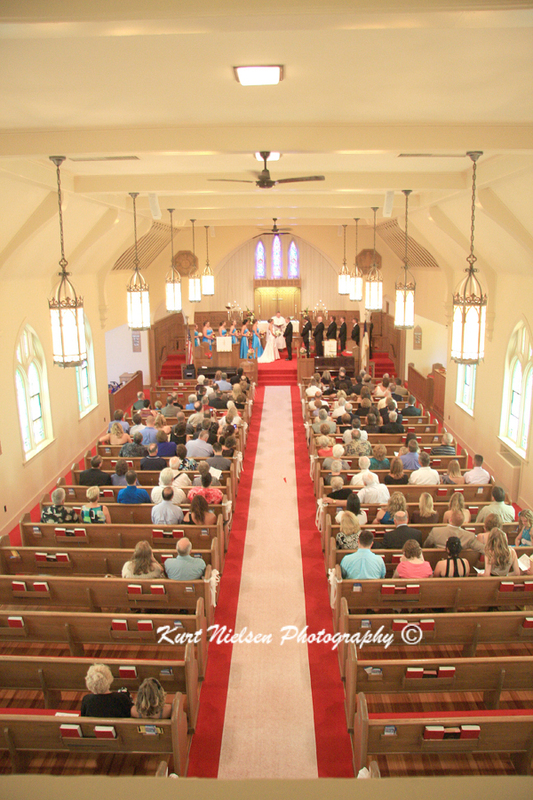 For this wedding, my day started at 12:30pm at the church (the couple’s chosen time and place to begin) and ended after the reception was over at 10pm. 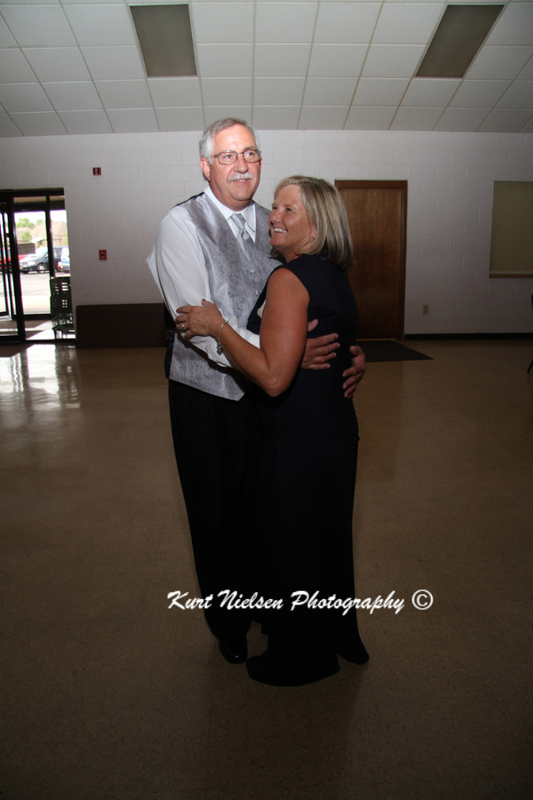 I took over 1300 photographs and I am showcasing more of the candid moments of their day in this blog post. 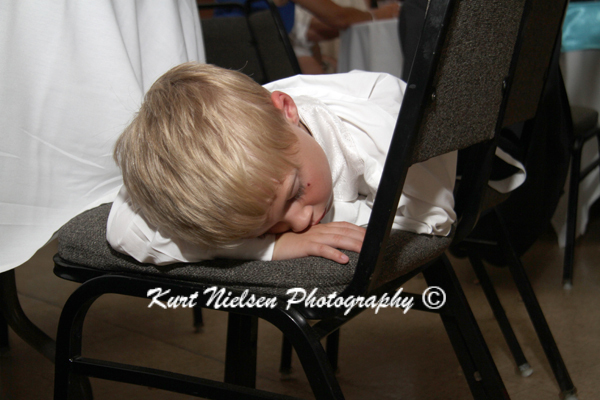 This is by no means all of the intimate moments of the day that I captured for them, but merely a sampling to show you what I do and how hard that I do work. 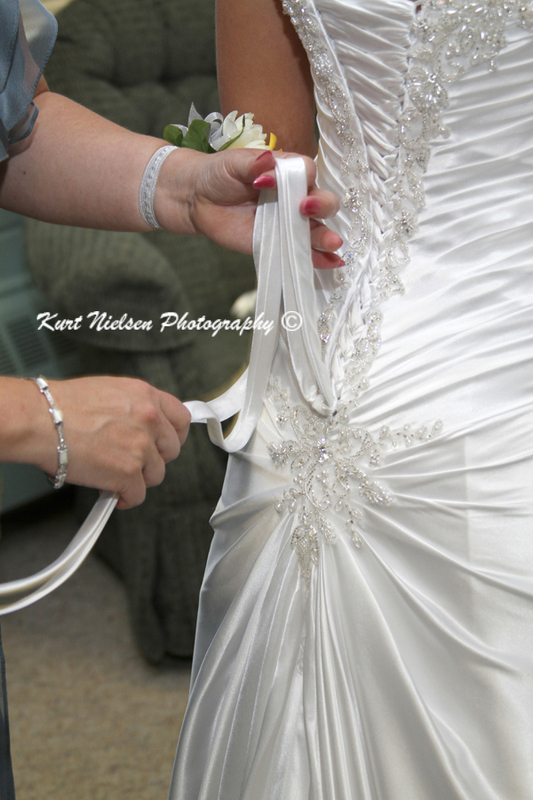 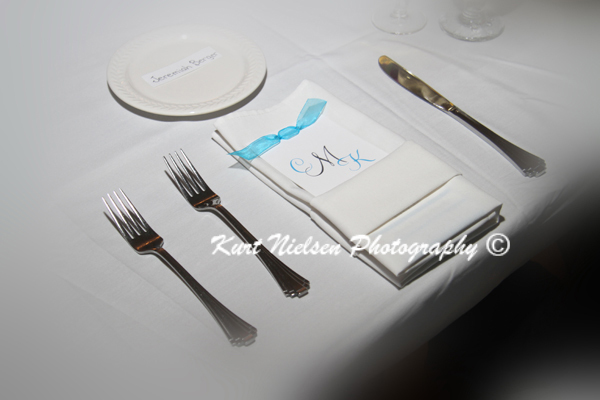 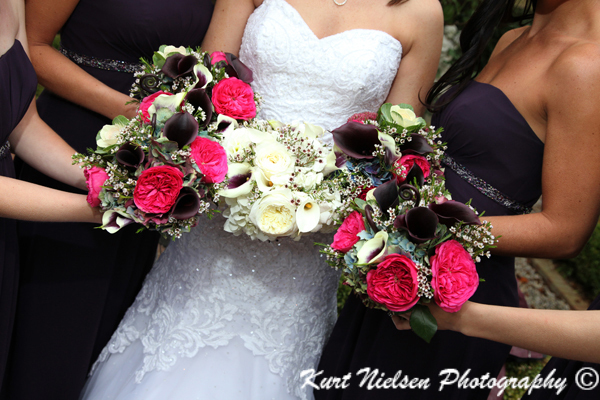 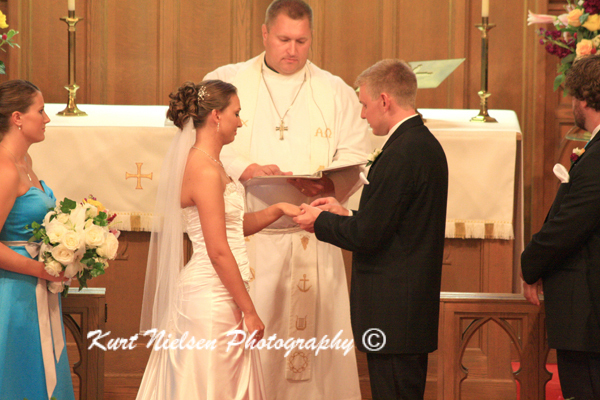 Of course, every wedding is different and how I photograph it depends on the wedding timeline and how the bride and groom have things scheduled, and what they want from me. 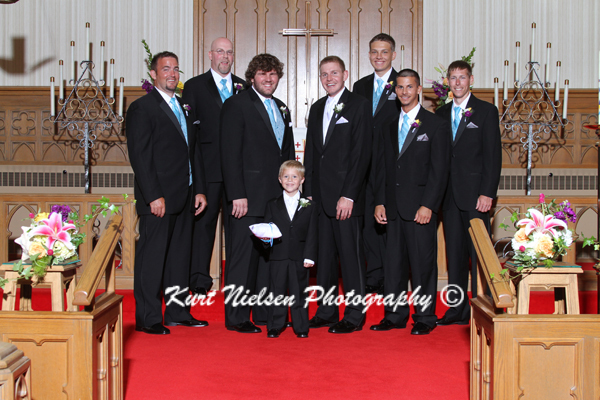 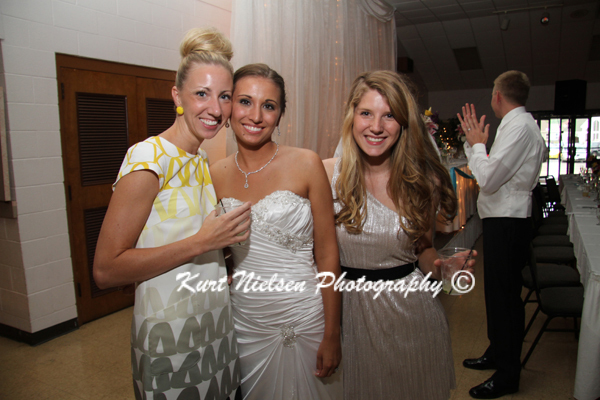 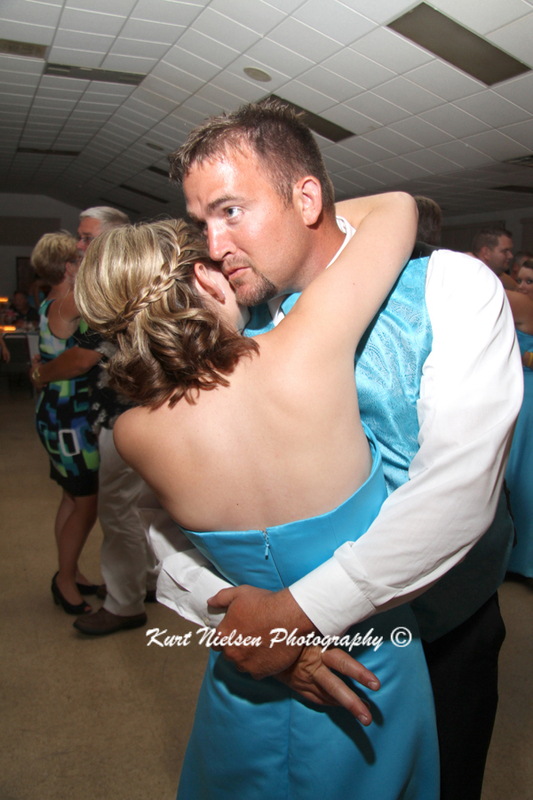 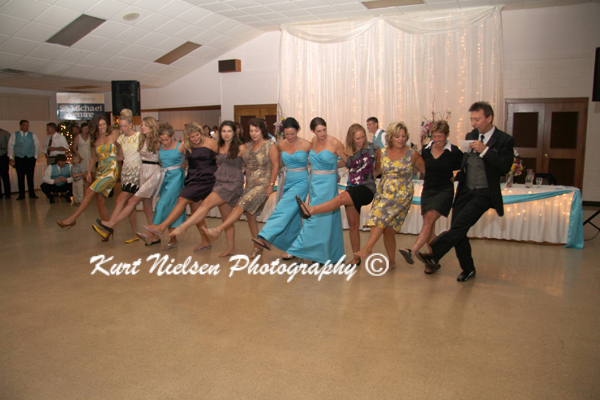 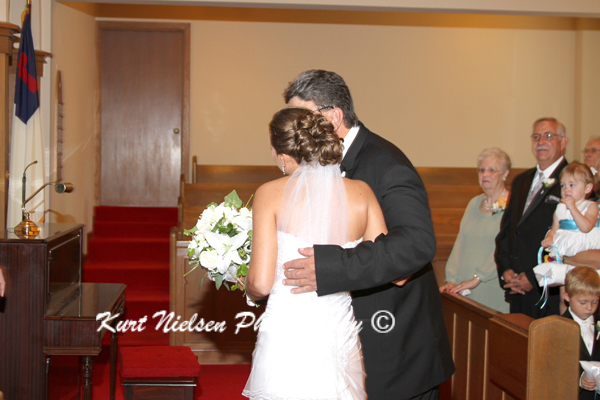 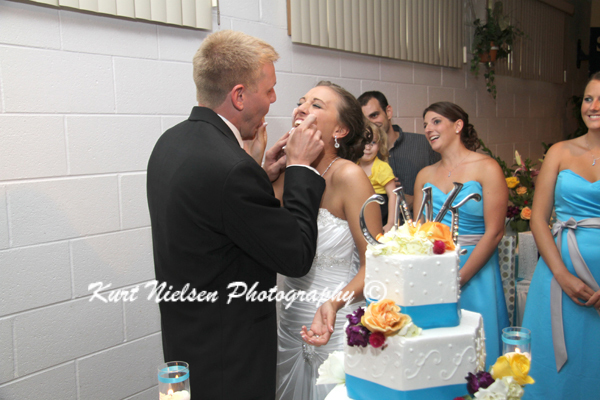 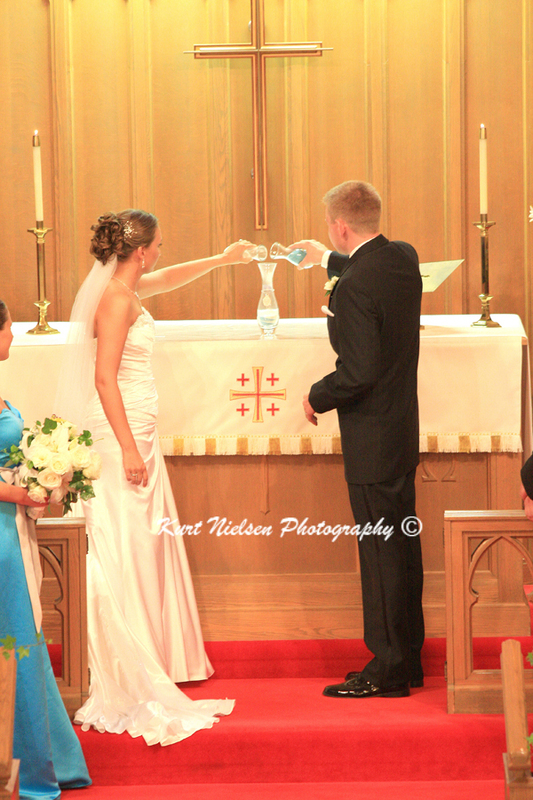 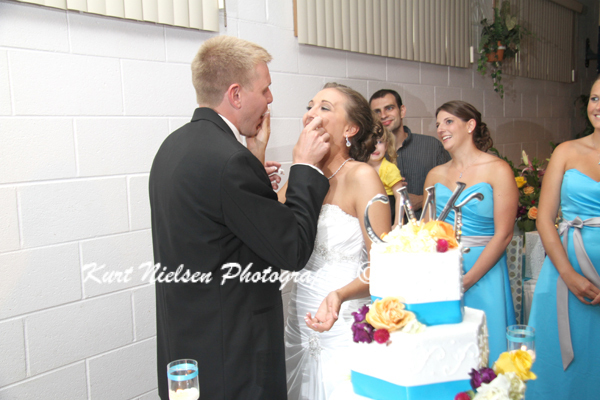 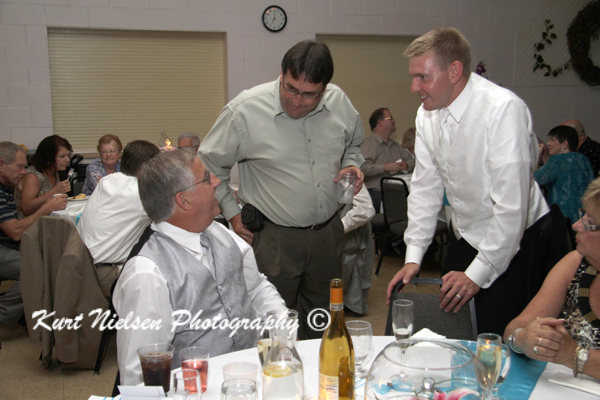 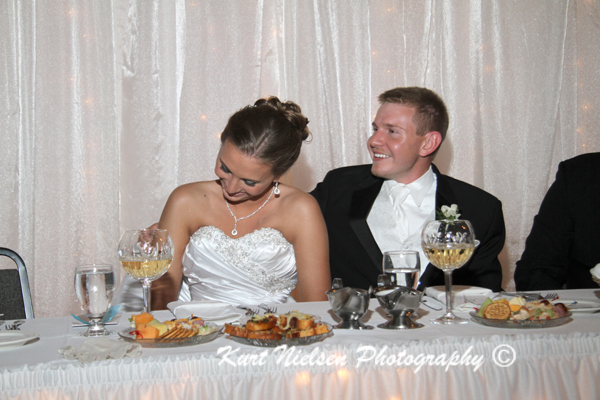 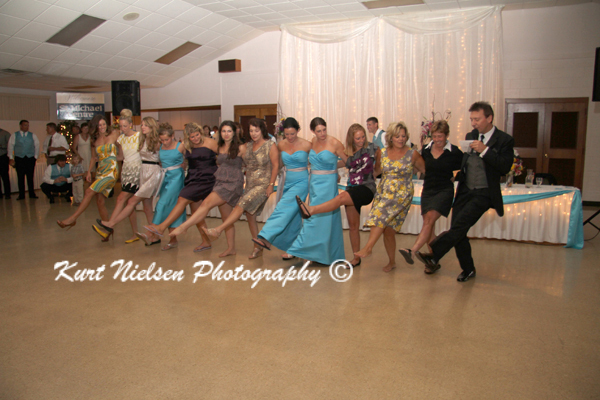 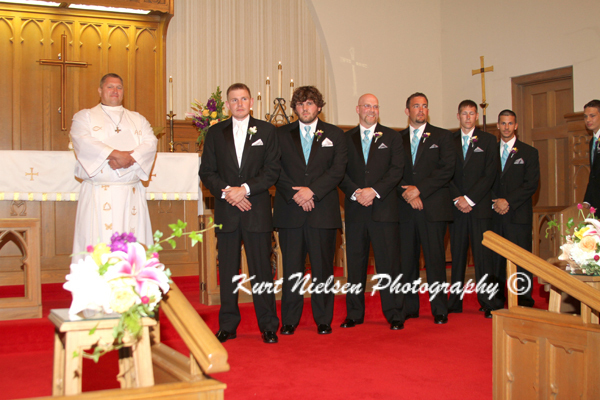 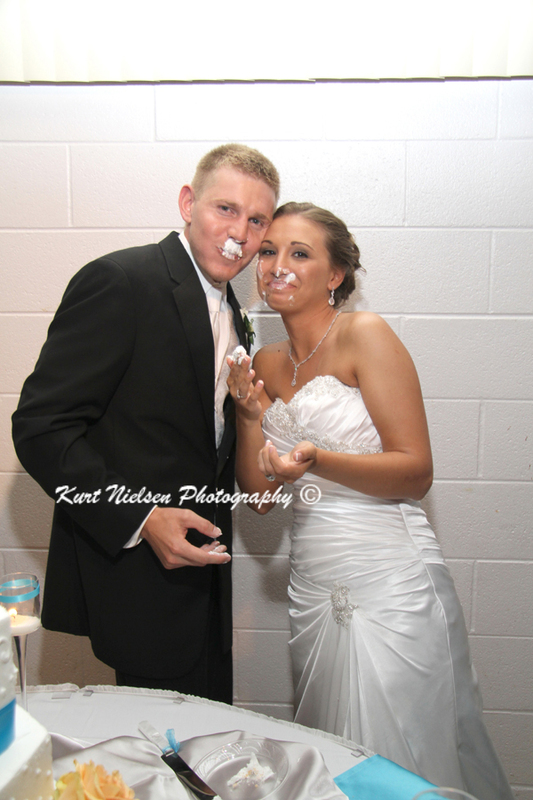 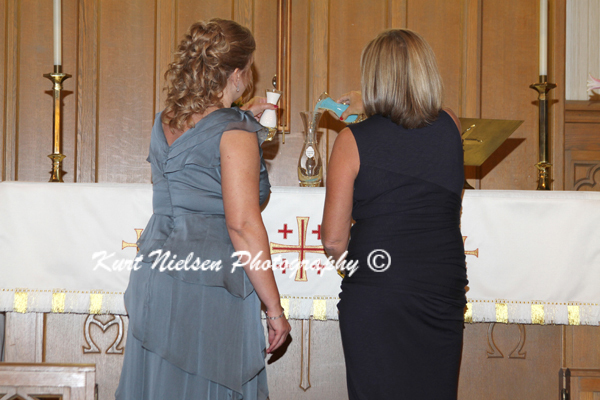 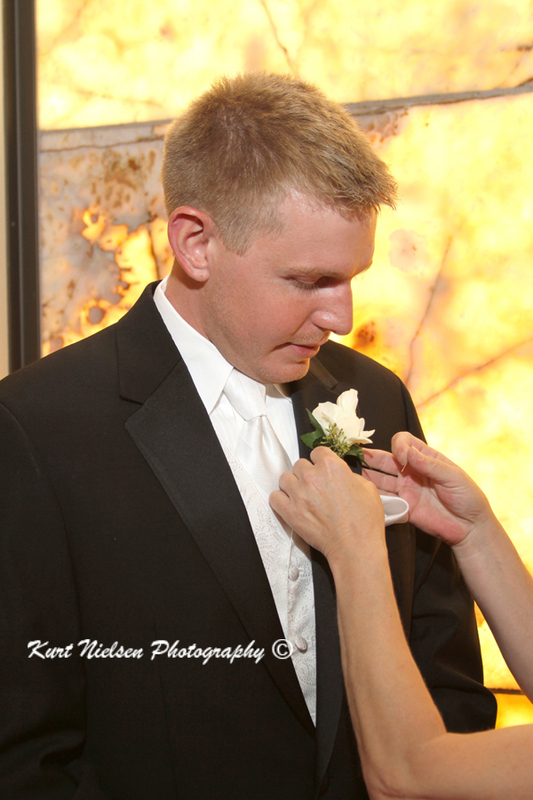 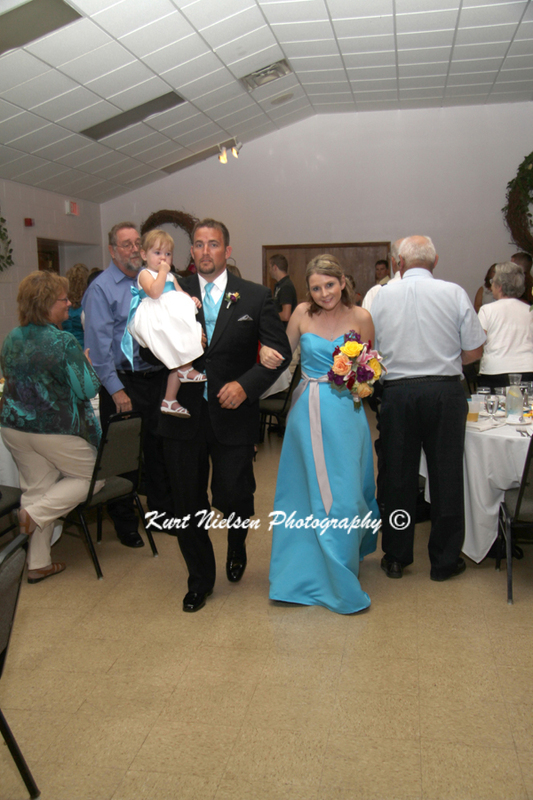 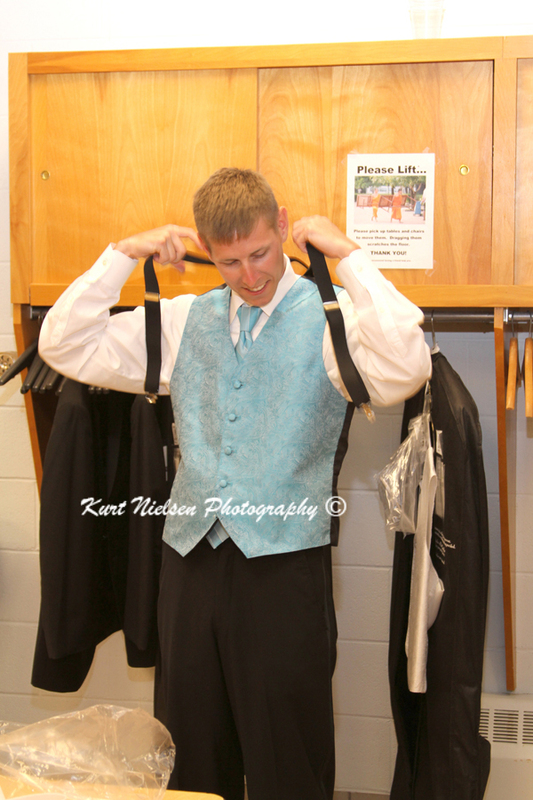 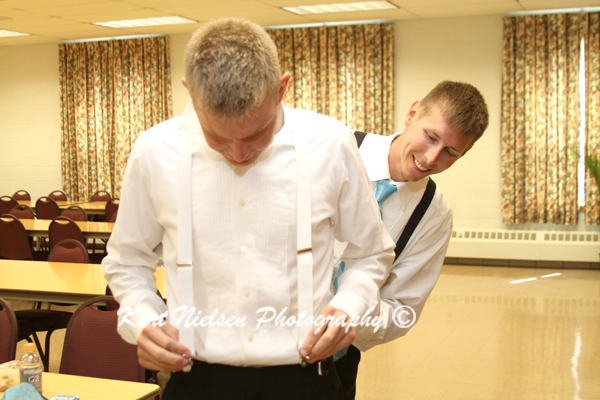 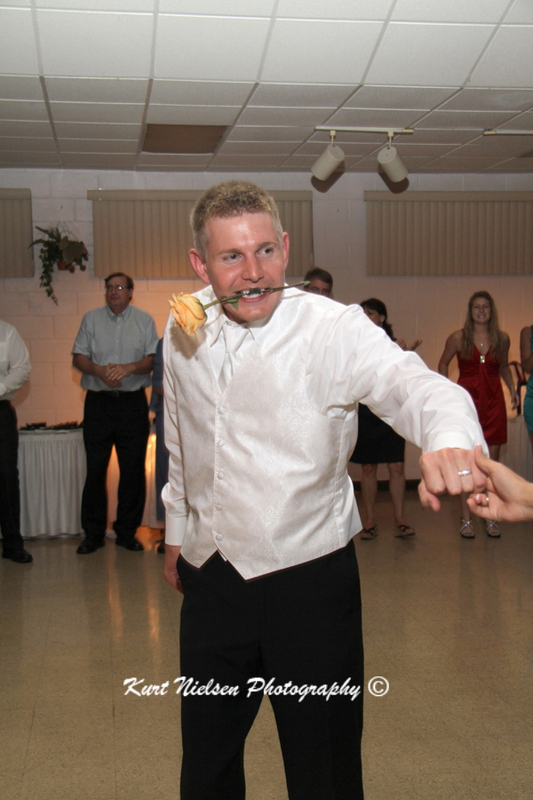 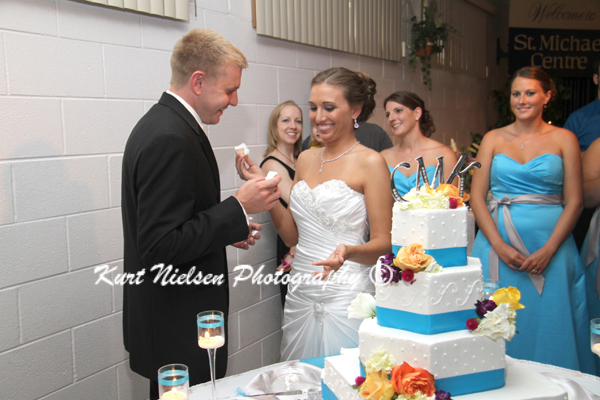 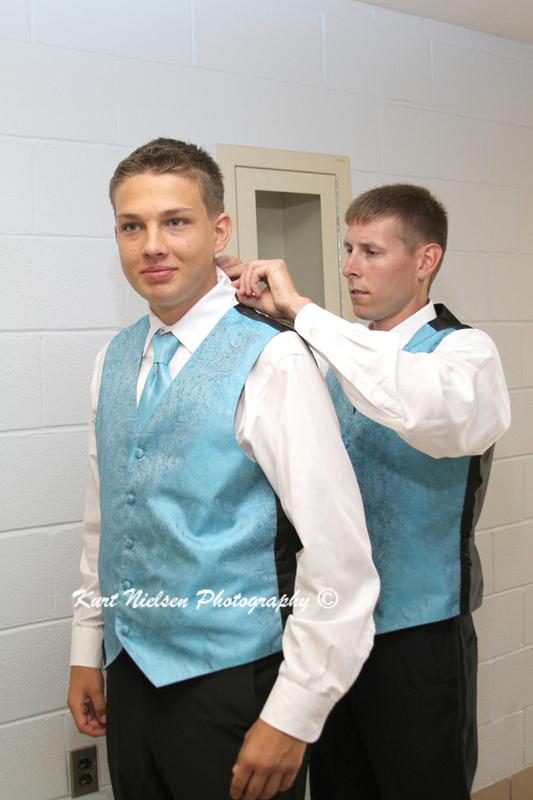 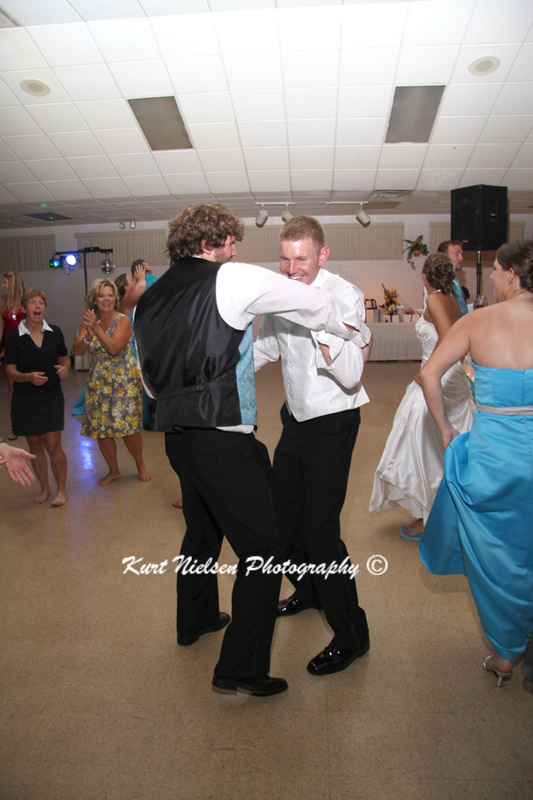 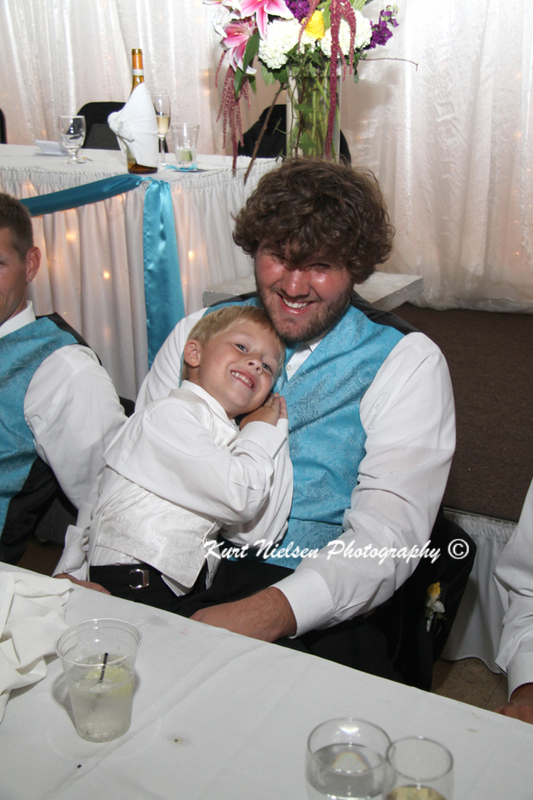 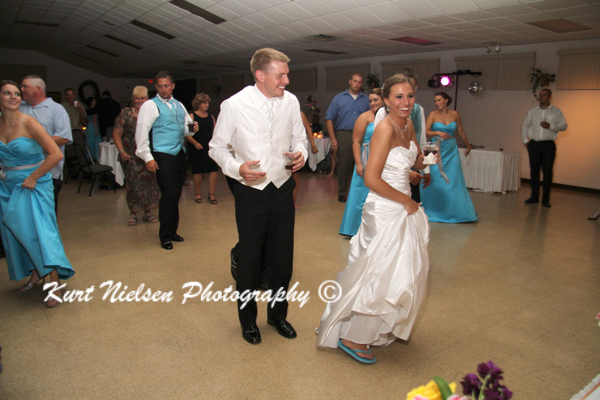 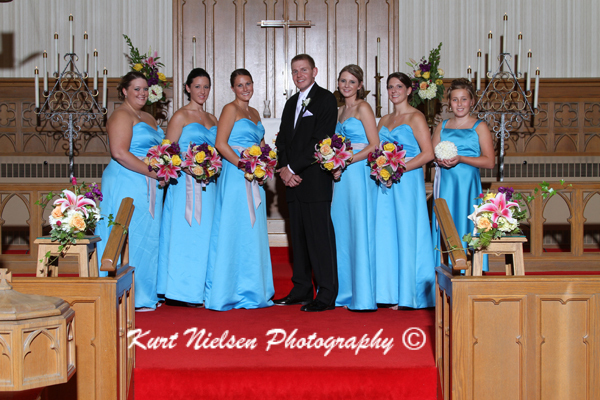 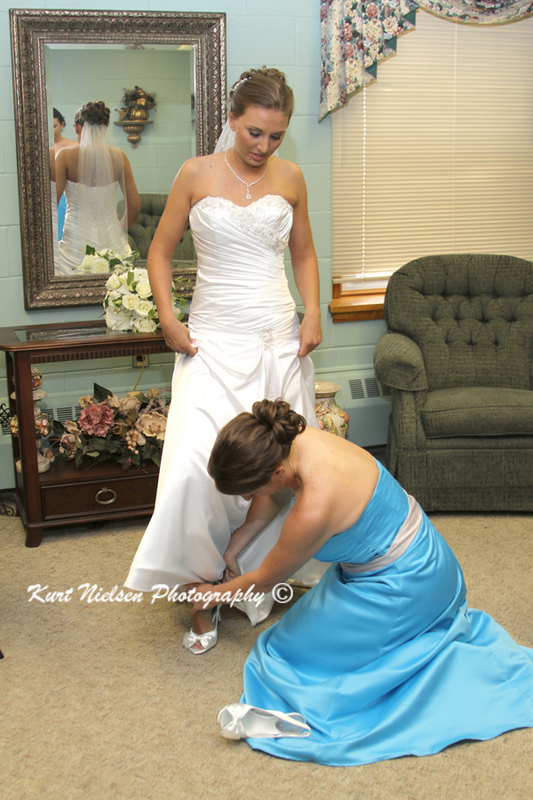 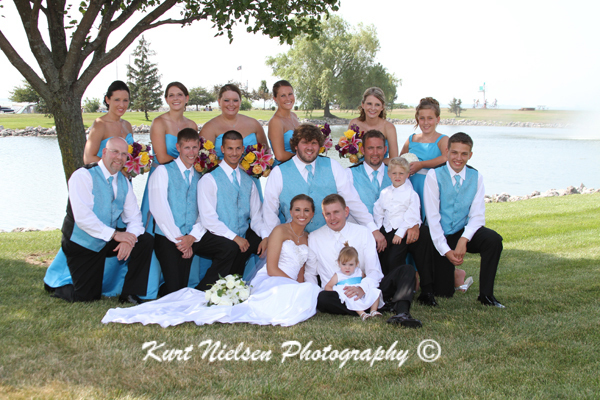 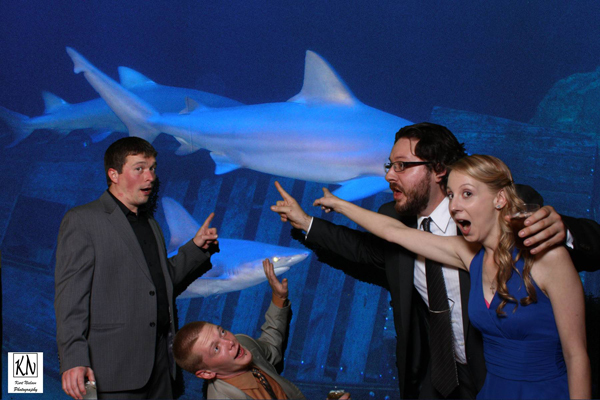 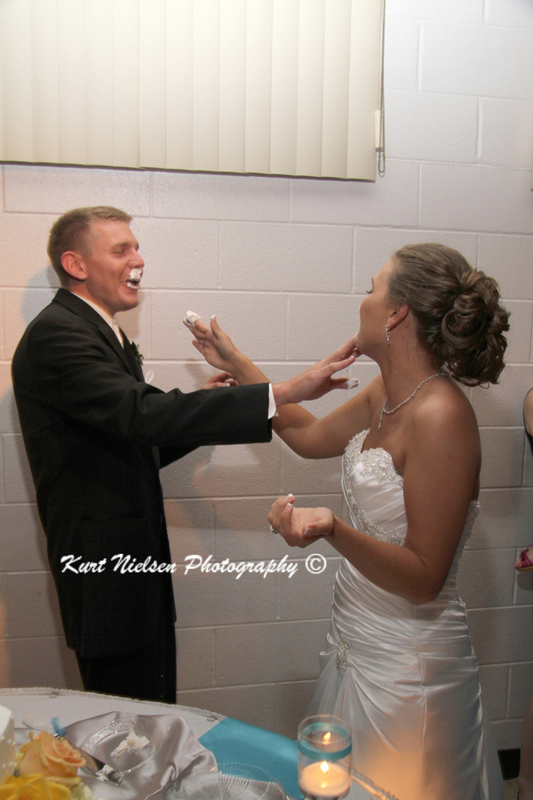 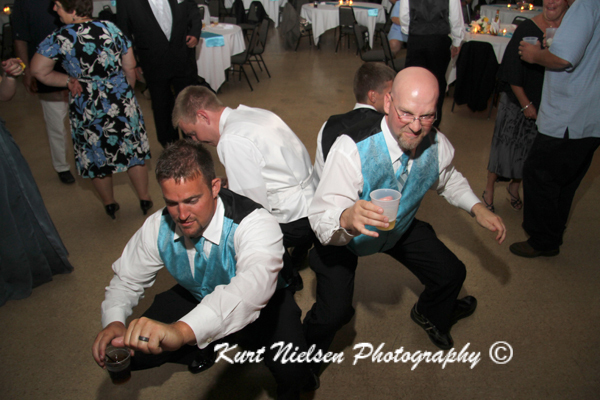 Many of the candid moments depend on the actions of the bridal party and wedding guests. 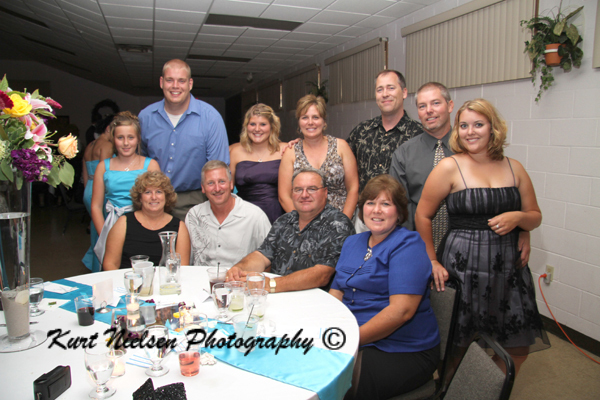 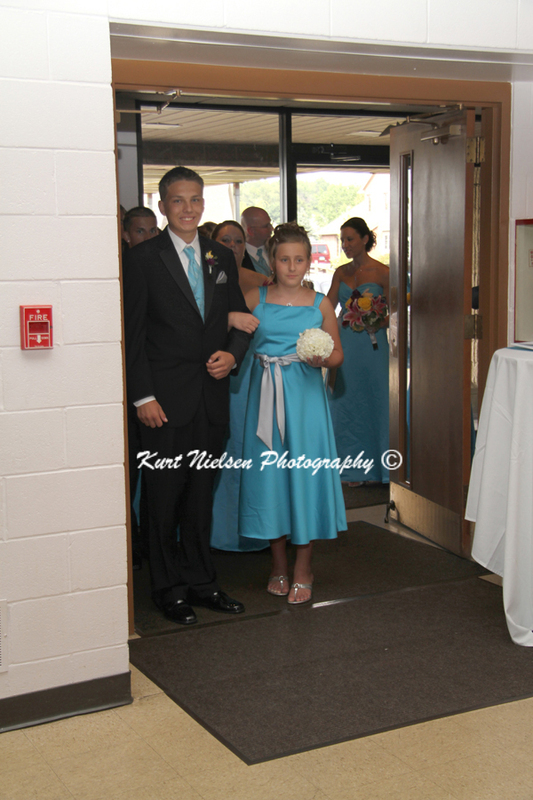 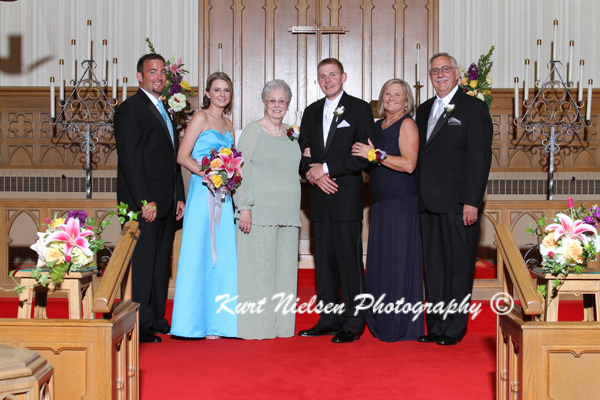 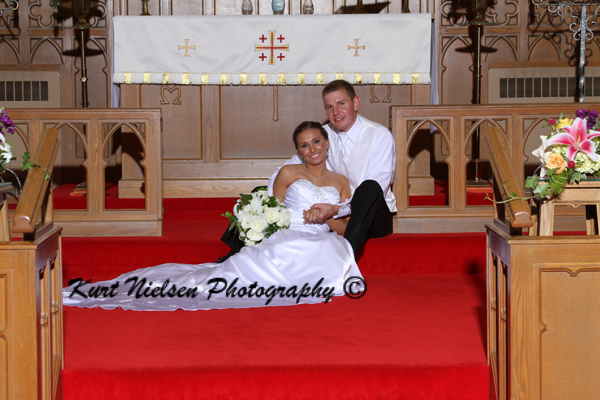 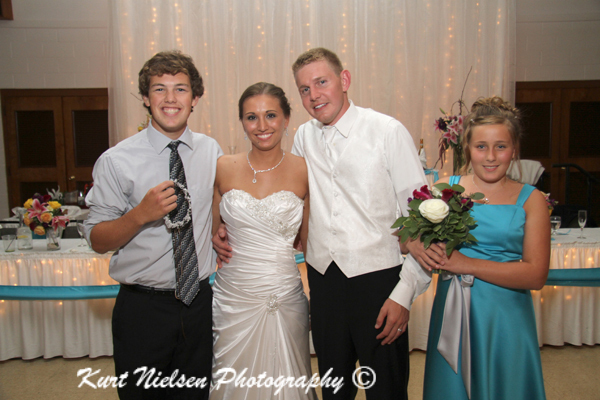 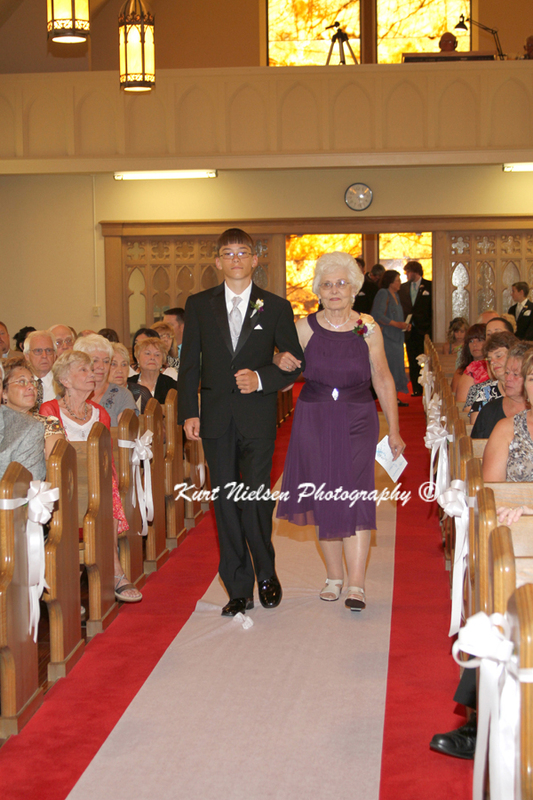 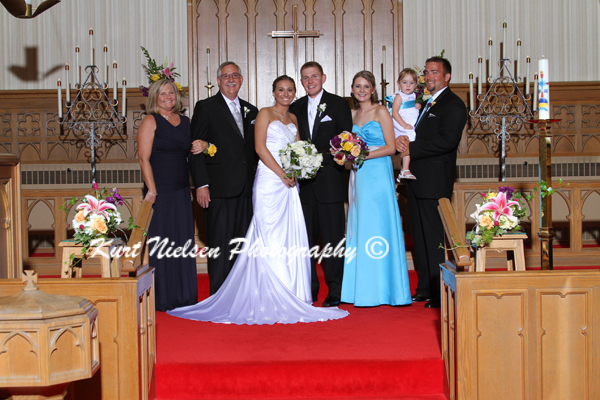 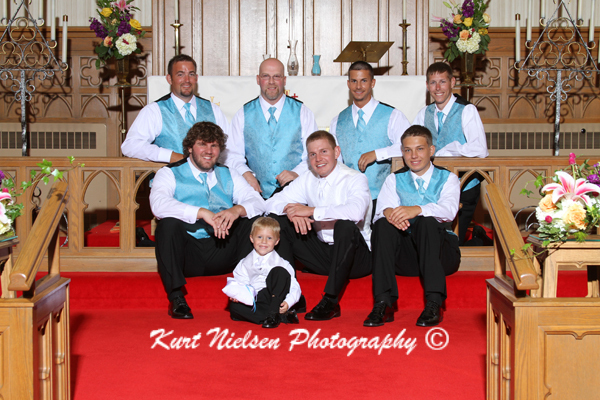 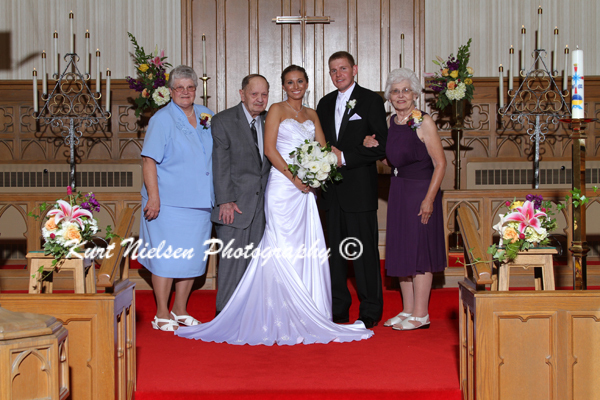 Kelly and Craig were married on Saturday, July 14, 2012 at St. John Lutheran Church in Williston, OH surrounded by their family and friends. 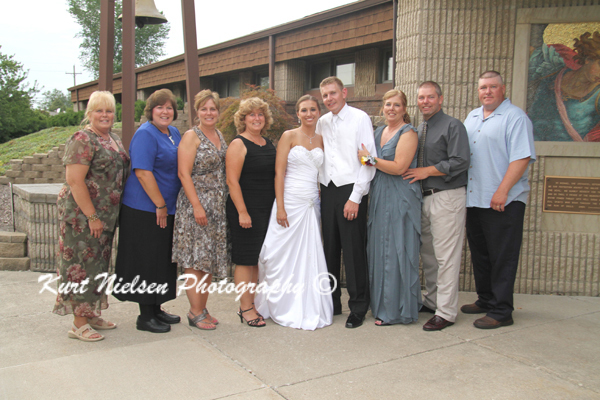 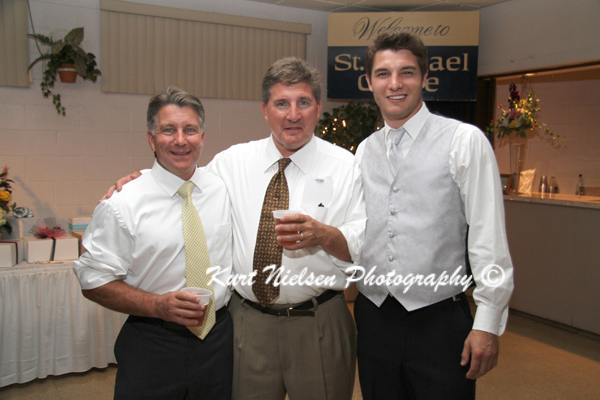 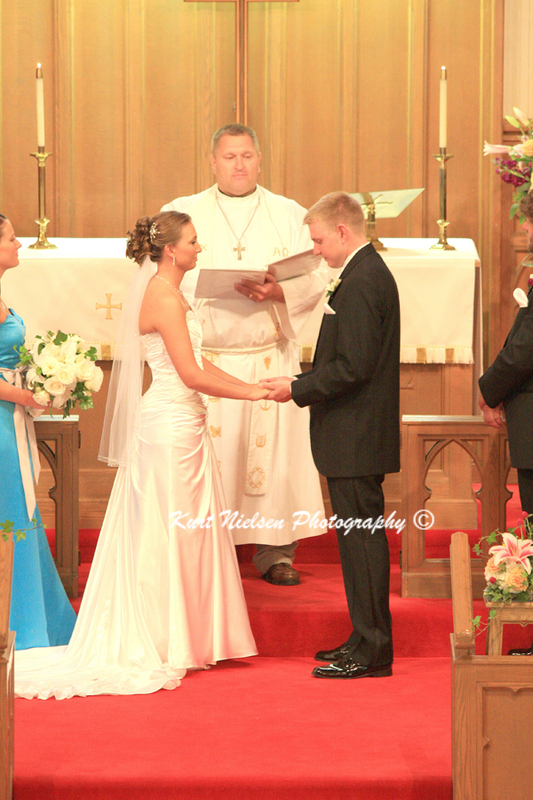 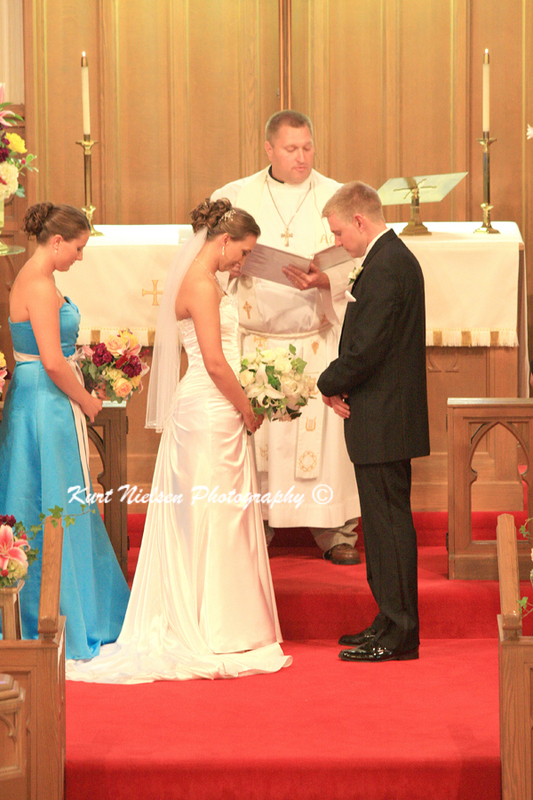 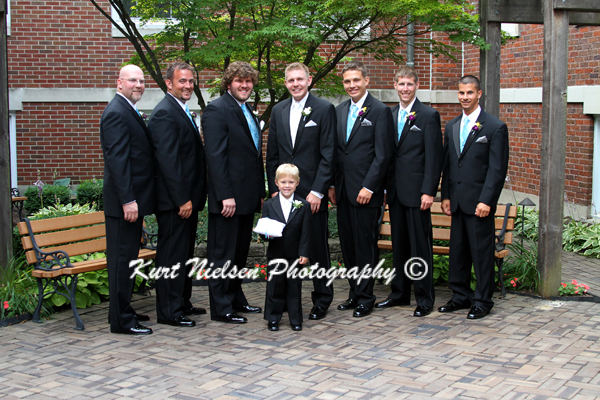 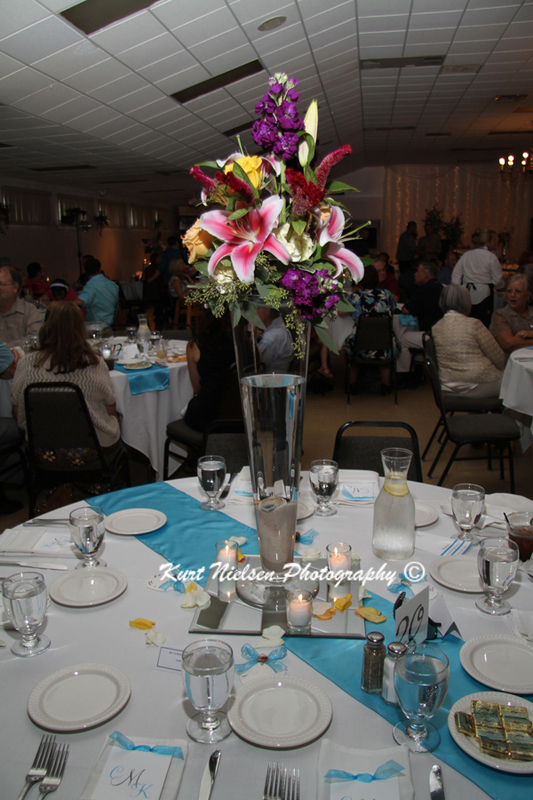 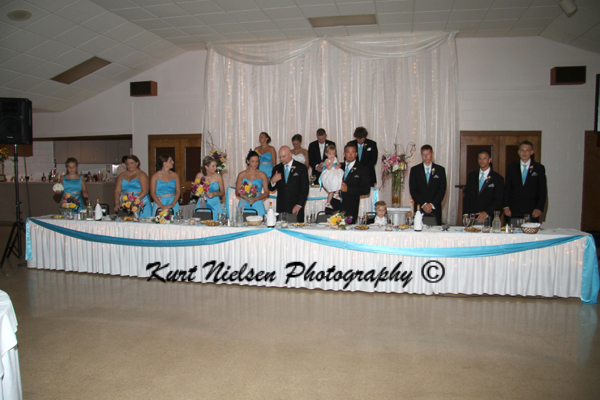 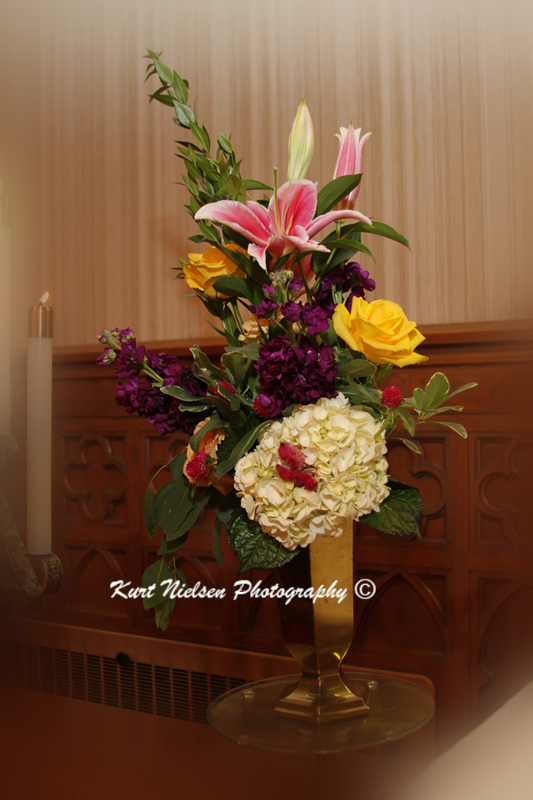 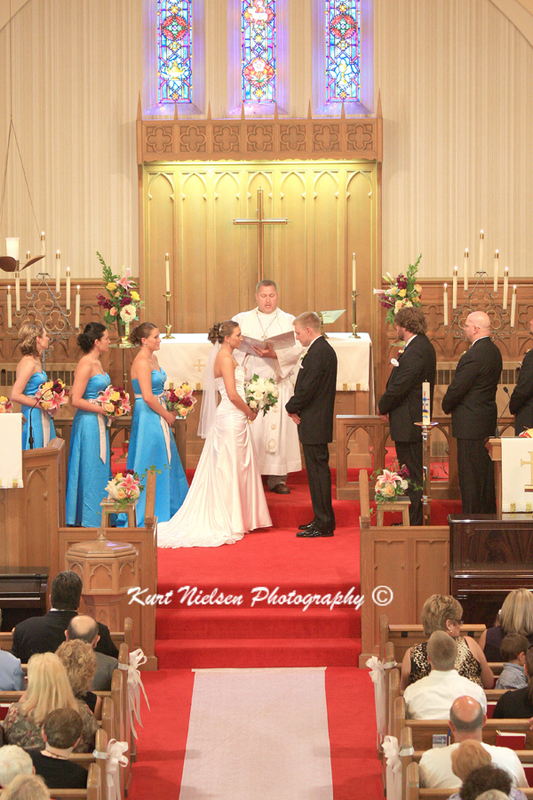 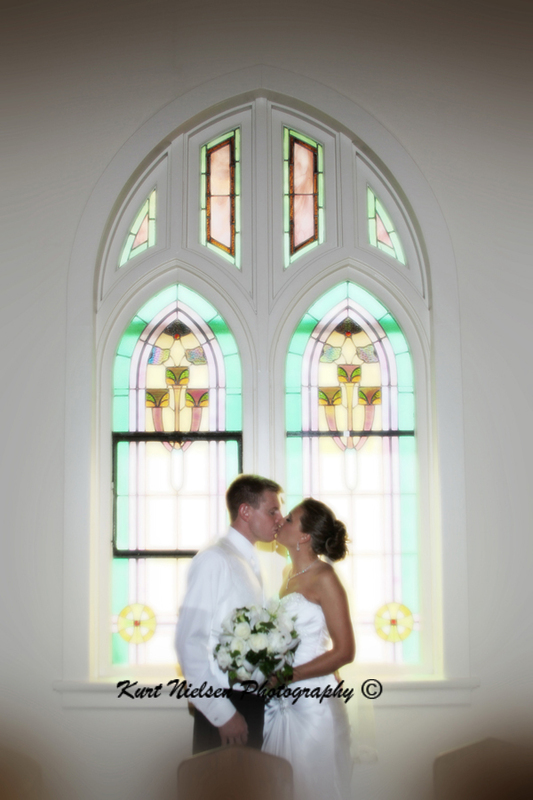 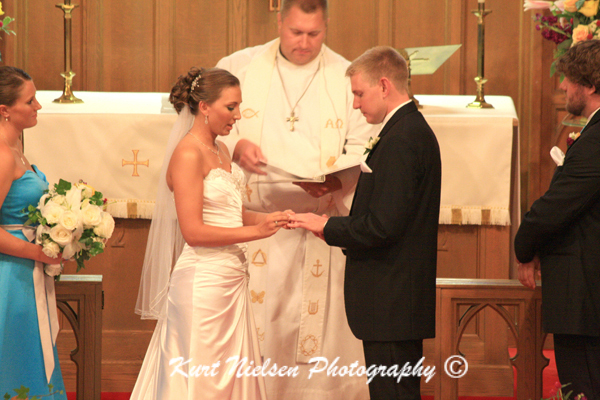 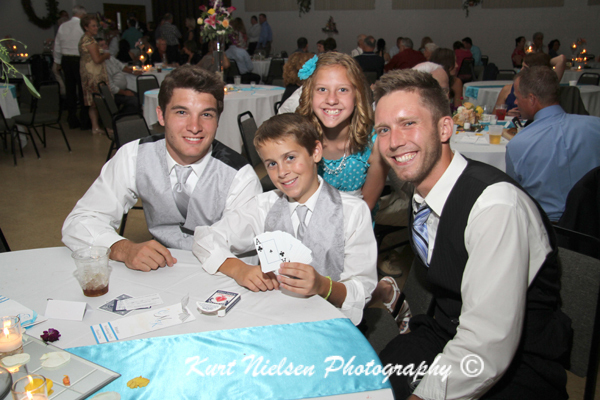 Their reception was held at St. Michael Centre in Oregon, OH. 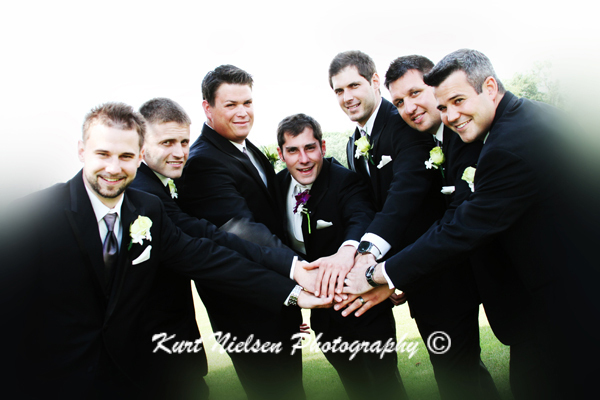 On their wedding day, I started with the groom and the guys in the wedding party and the groom’s family while the bride and her maids were getting ready. 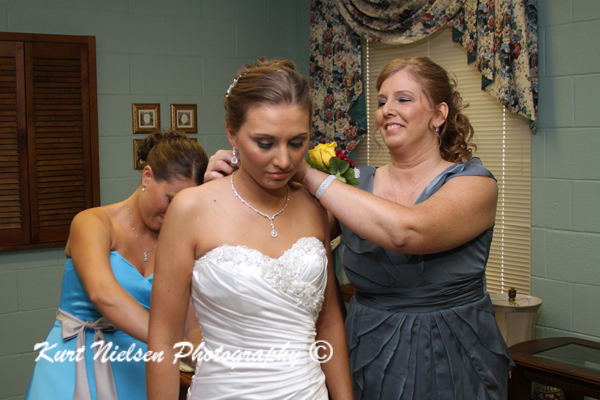 Then it was into the room where the bride was adding her finishing touches and then photos with her bridesmaids and the bride’s family. 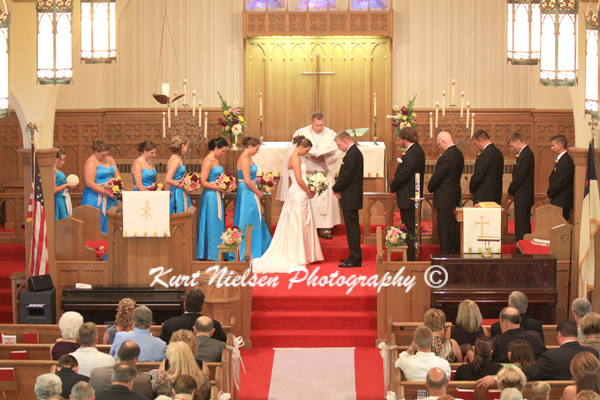 Before we knew it, it was 2:30 and time for the wedding to begin. 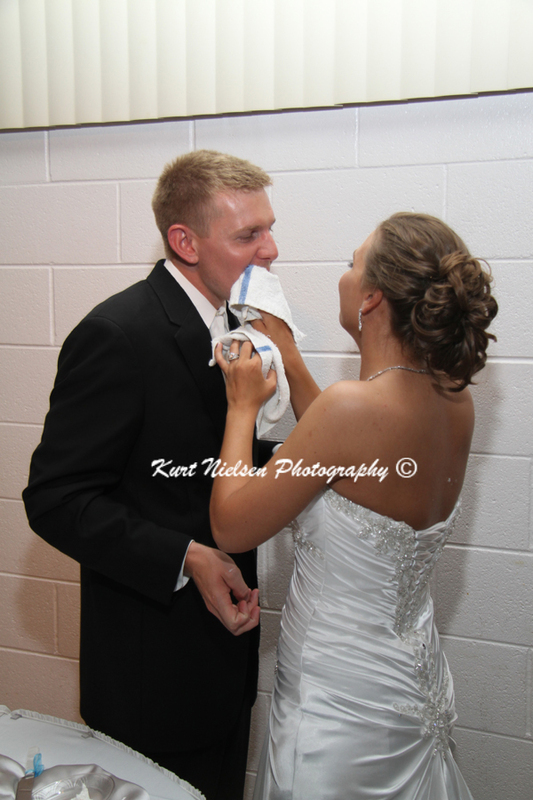 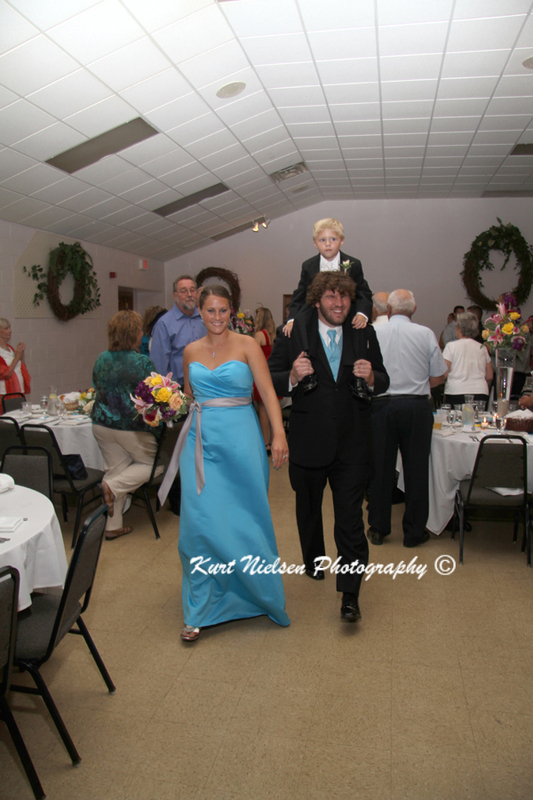 After the wedding, the couple headed outside for the bubbles during the recessional and then we headed back inside to finish the formal portraits. 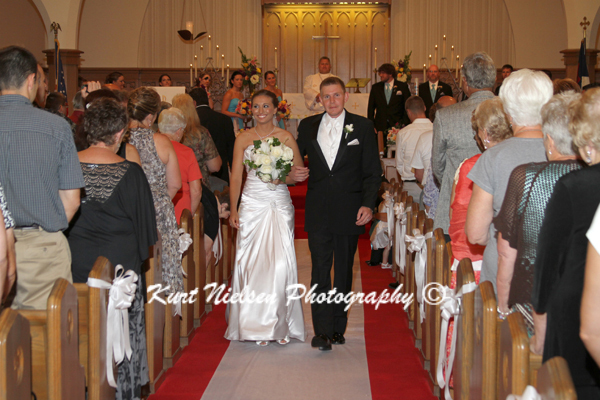 We had to be out of the church by 4pm and we made it! 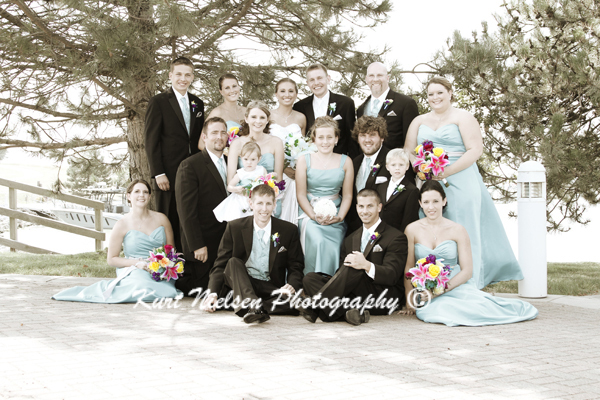 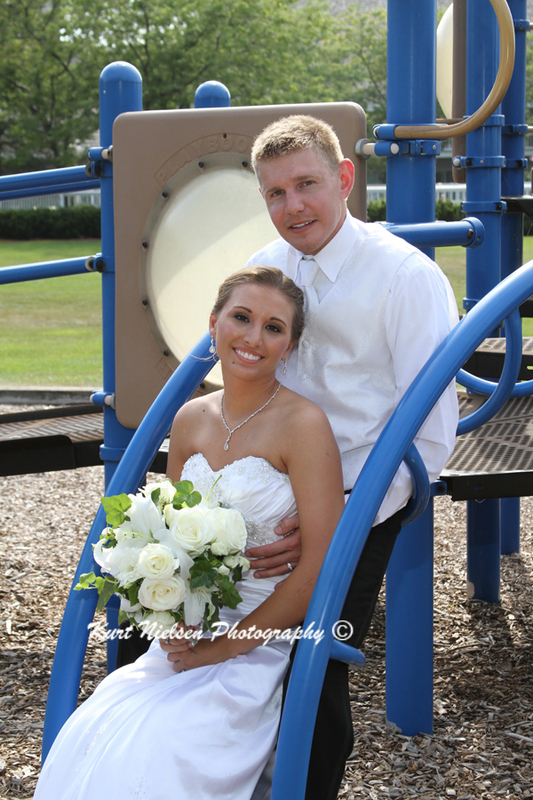 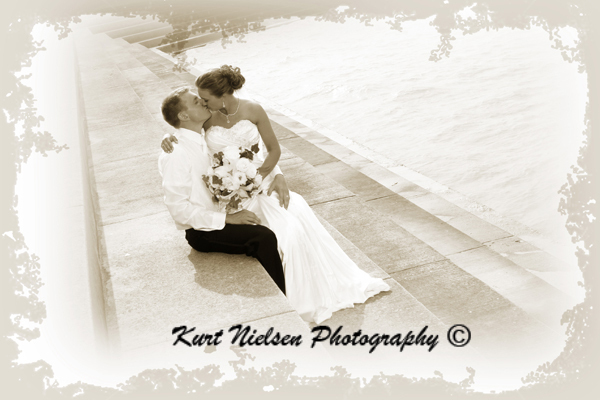 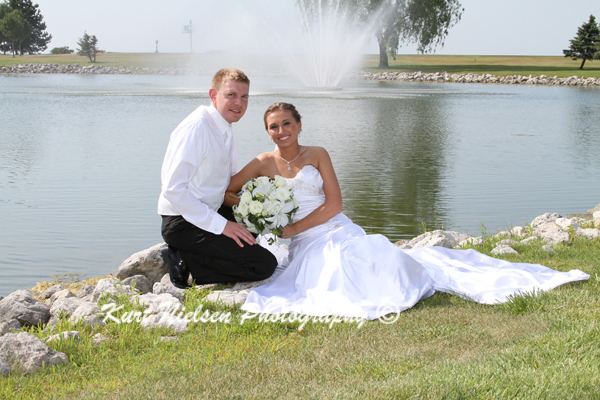 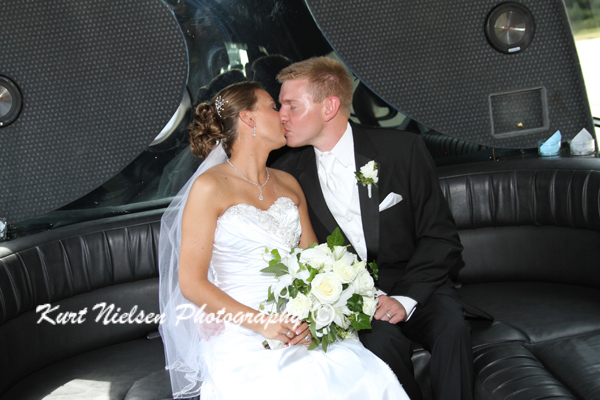 Then we headed to Maumee Bay State Park for some more wedding party and romantic photos that the bride and groom wanted. 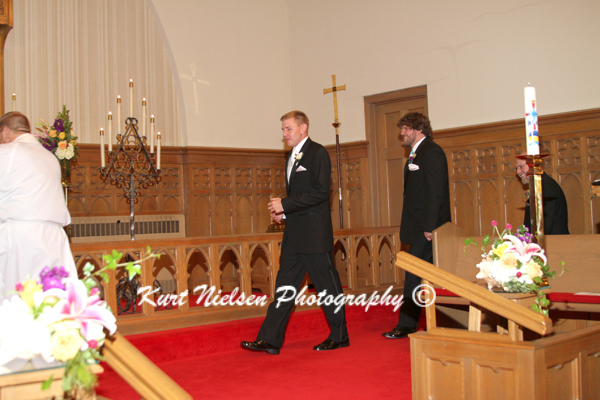 When we got to the reception hall, I had enough time to get a few of the detail shots before the wedding party grand entrance at 5pm. 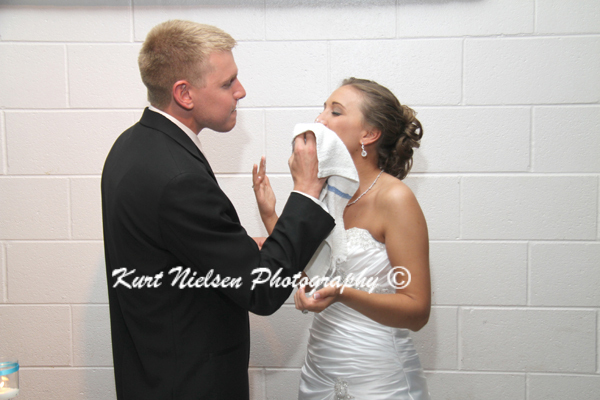 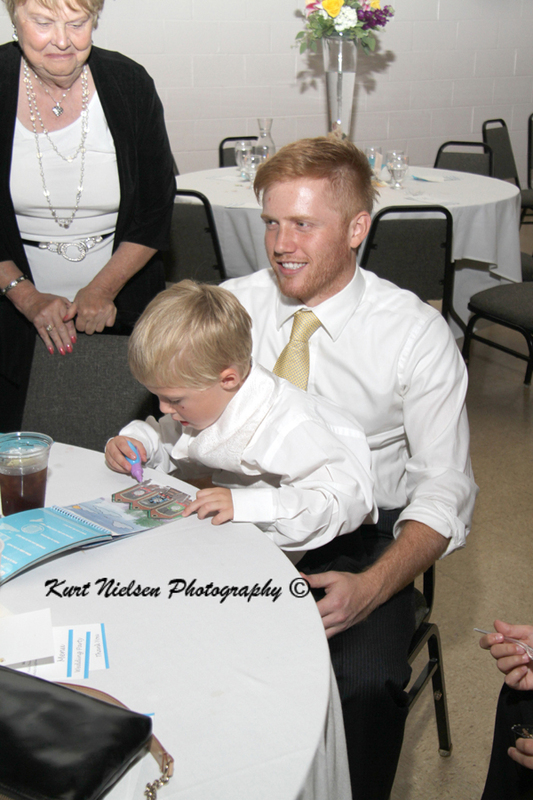 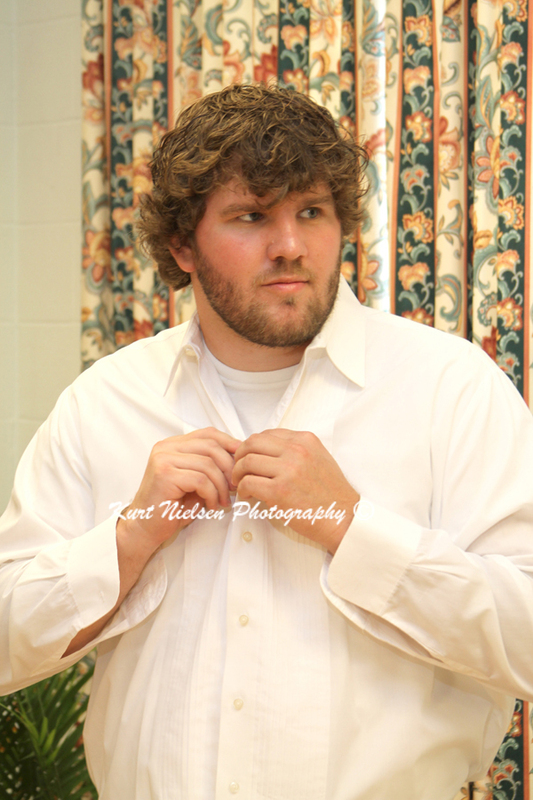 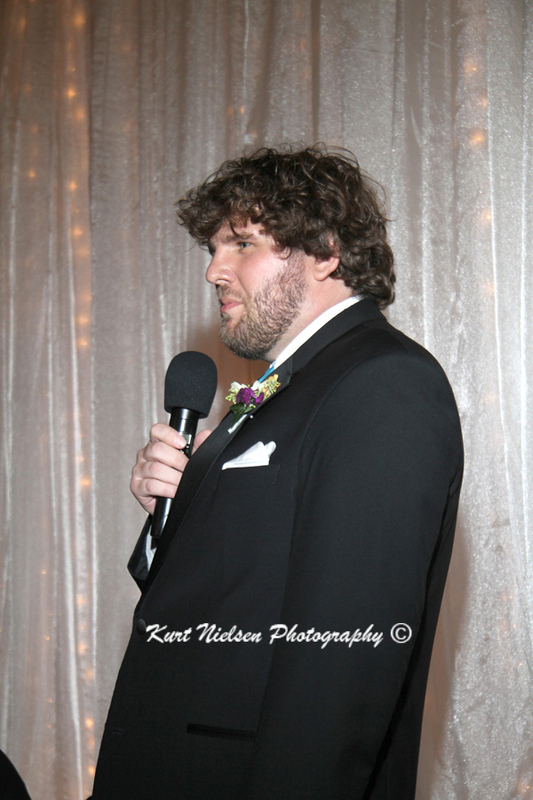 They went right into the Best Man and Maid of Honor speeches and the prayer before dinner. 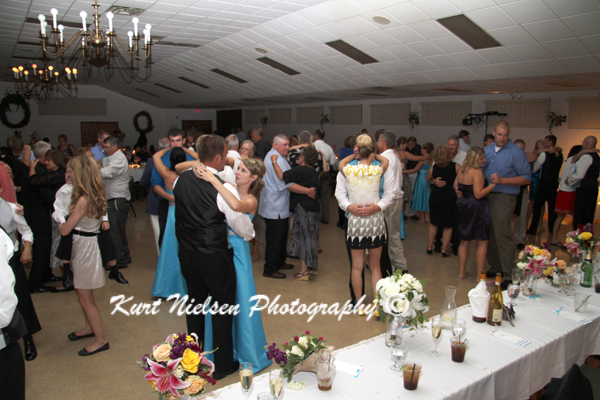 While the rest of the guests were finishing their dinners, the bride and groom were able to get in some mingling with their guests. 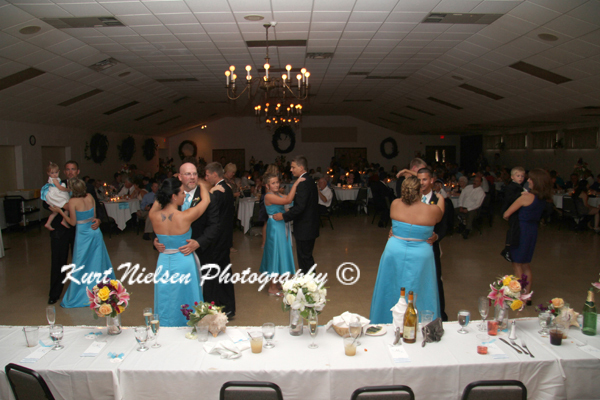 It was soon time for the formal dances: bride and groom’s first dance, father-daughter dance, mother-son dance and the bridal party dance. 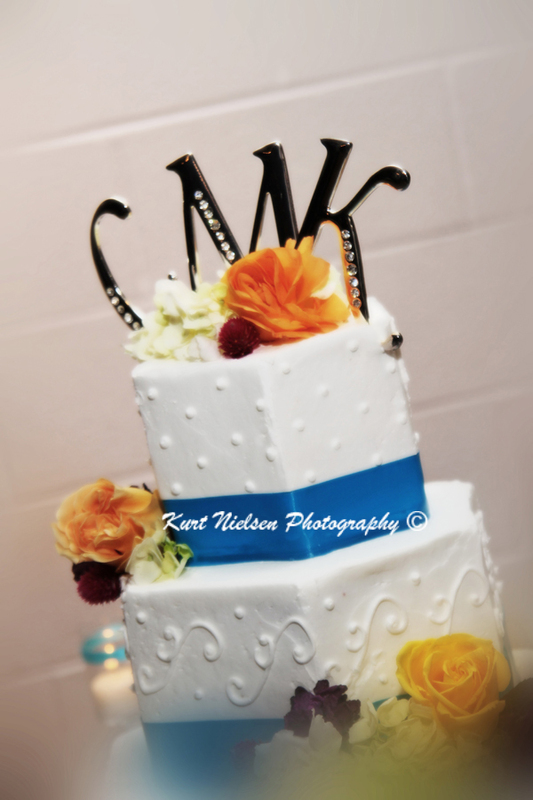 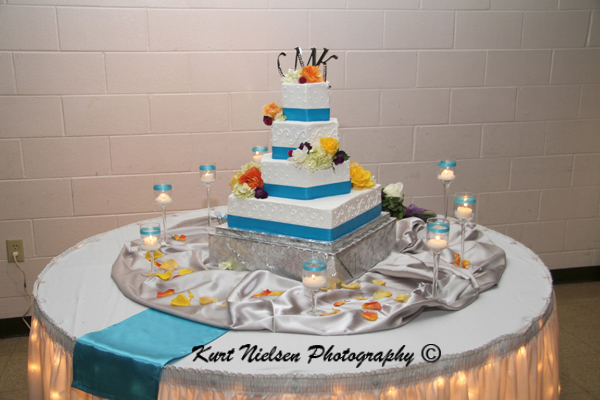 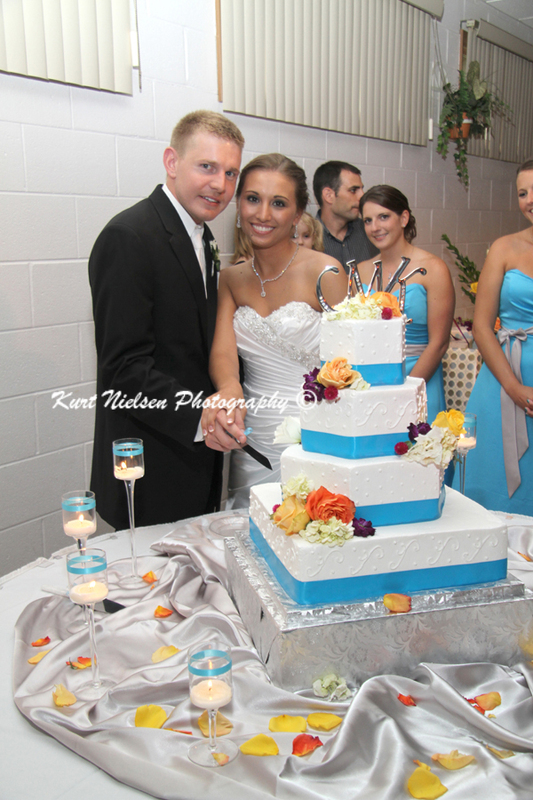 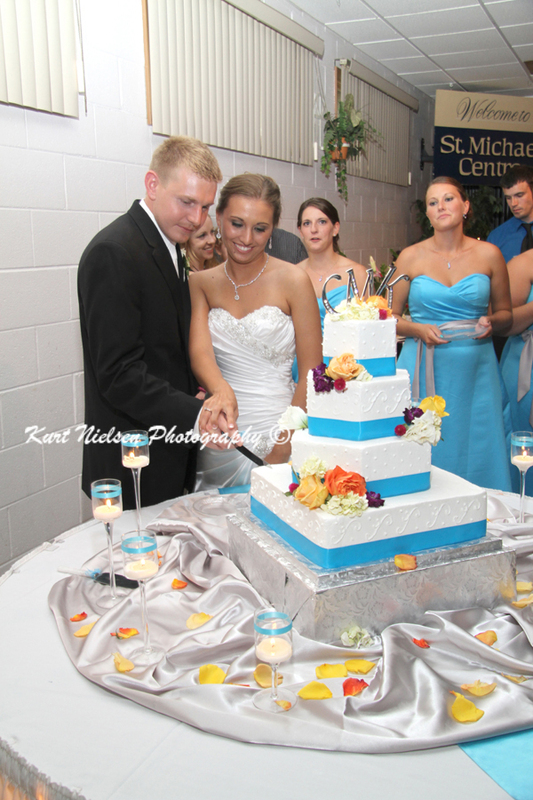 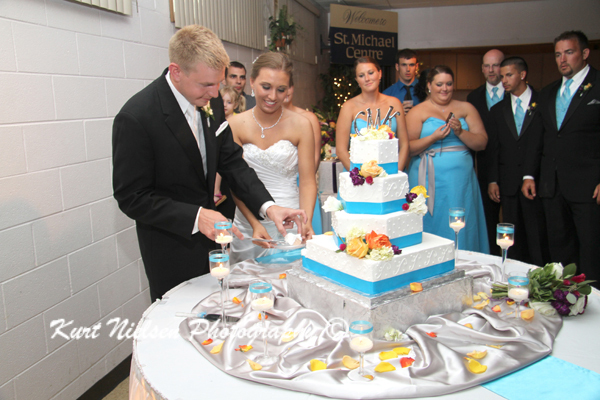 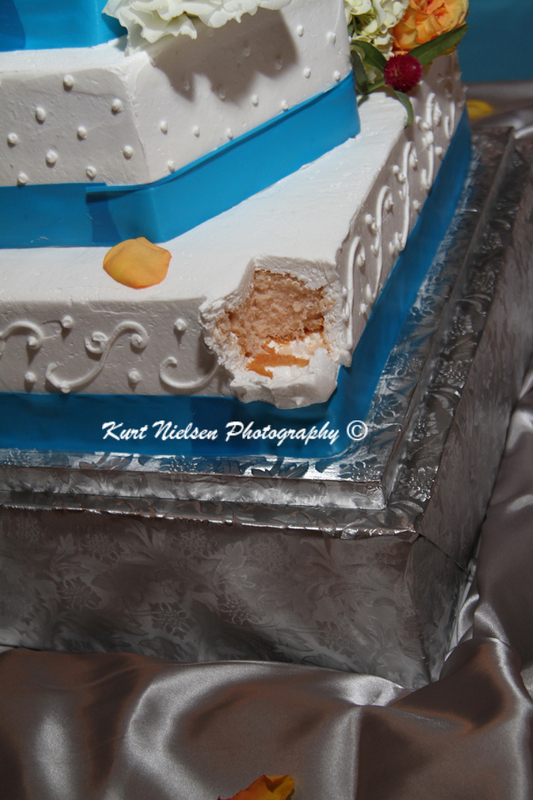 Next up on the agenda for the evening was cutting the beautiful wedding cake from Jane’s Cakes in Perrysburg, OH. 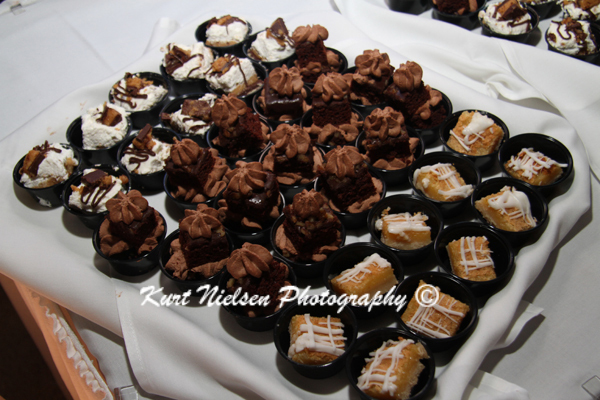 There was a little break after the cake cutting for some mingling and dancing before the final formalities of the night. 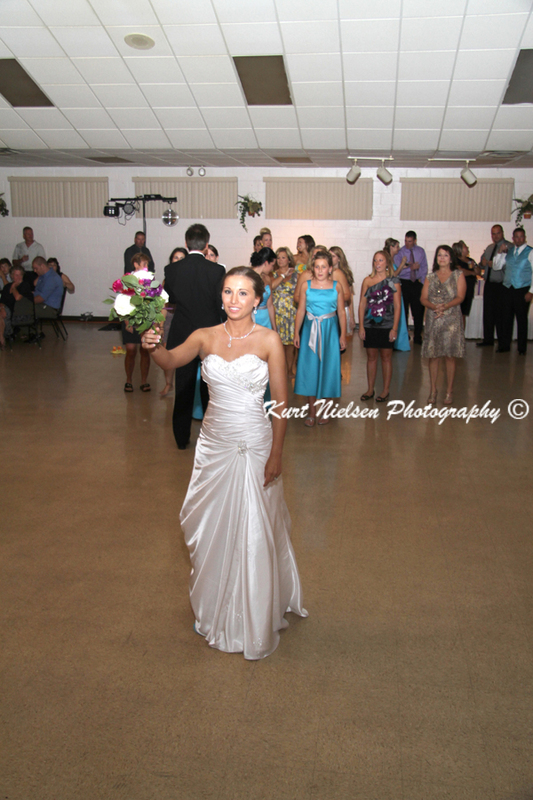 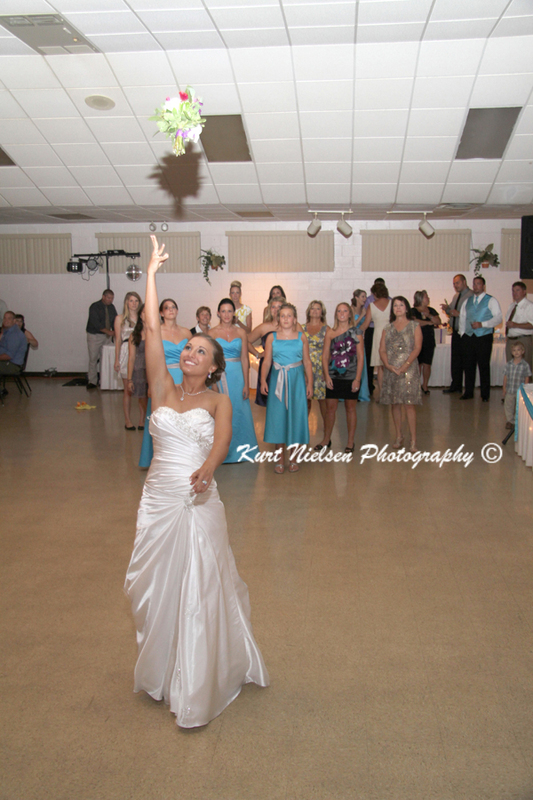 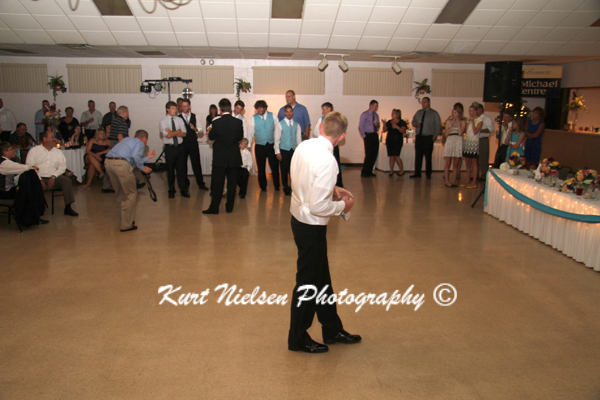 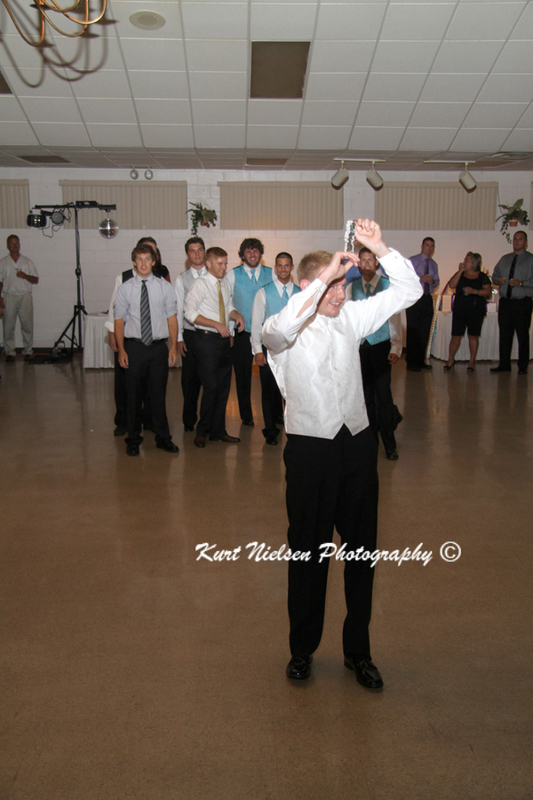 The final formal events of the evening were the bouquet and garter toss. 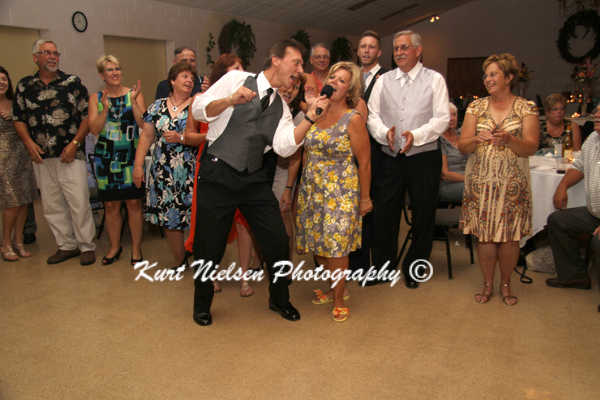 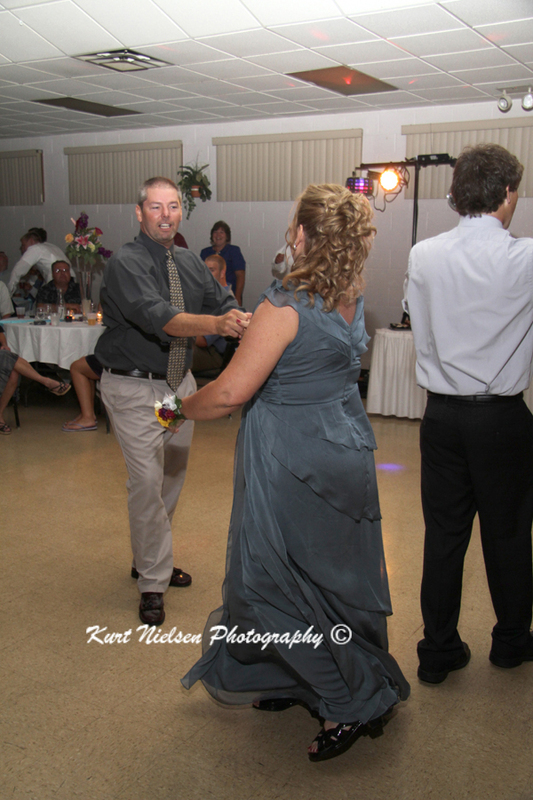 Doug Bermick of Professional Sounds kept the party going all night long. 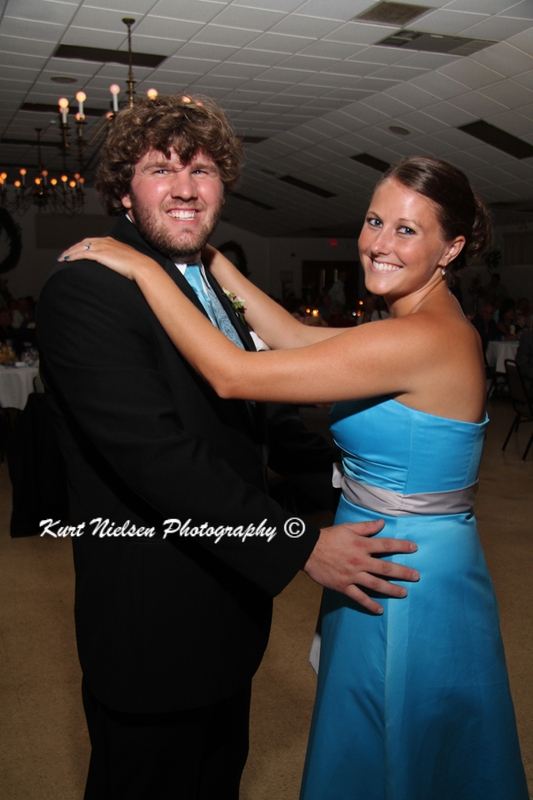 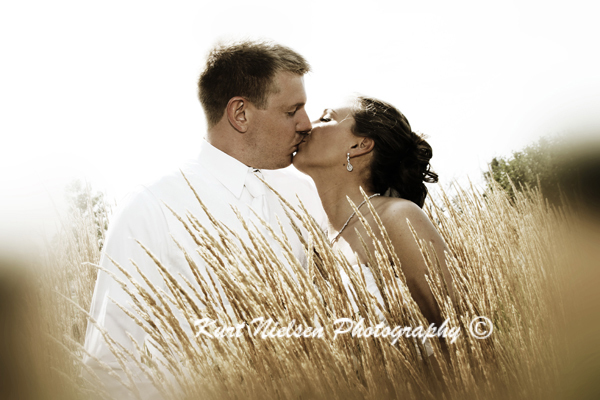 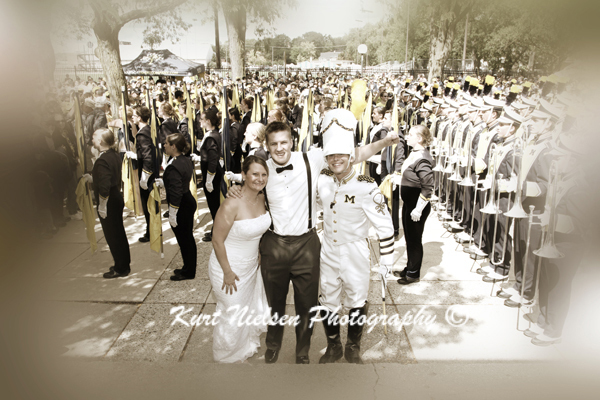 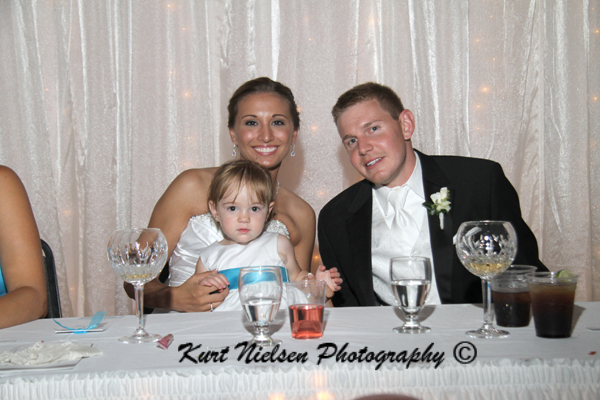 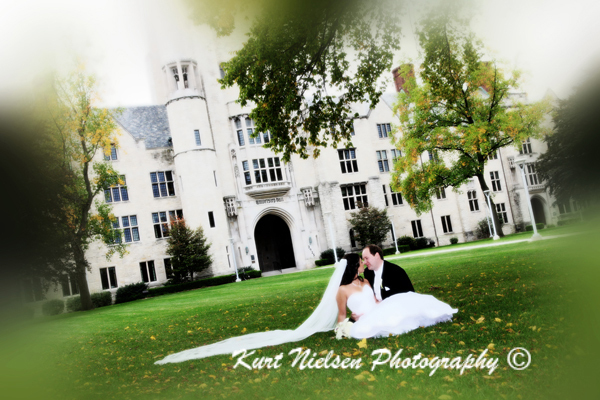 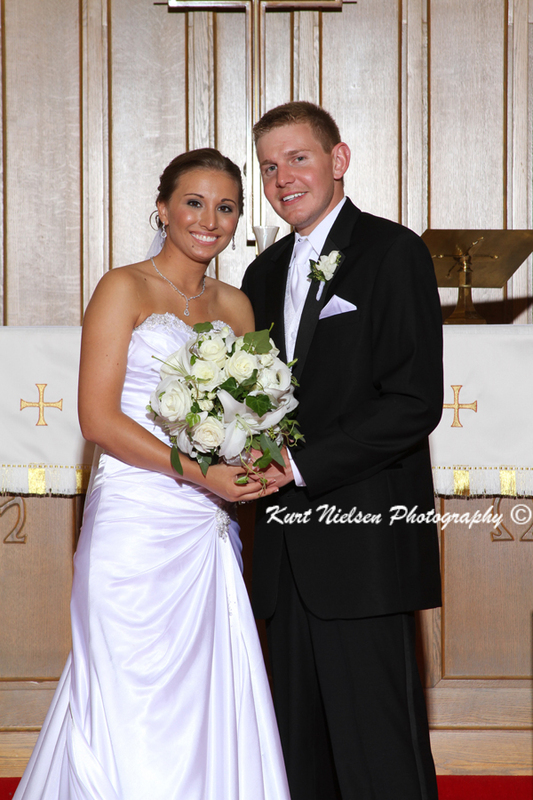 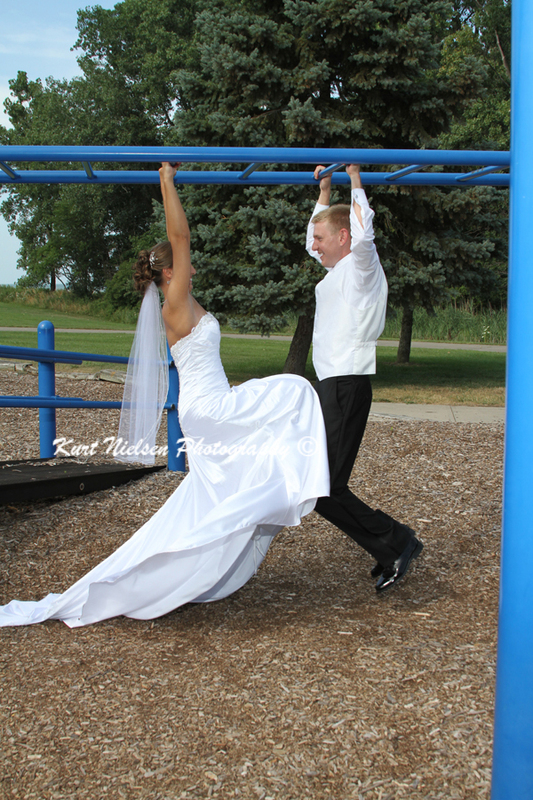 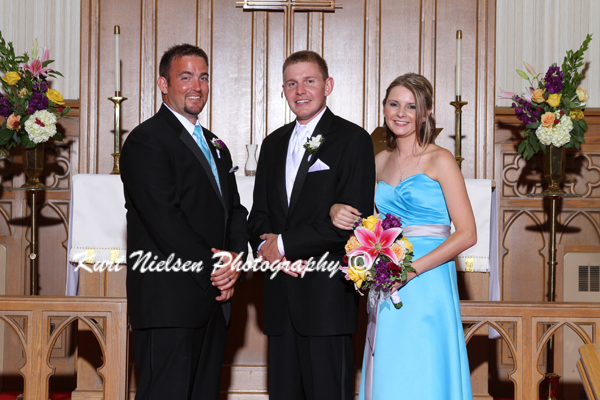 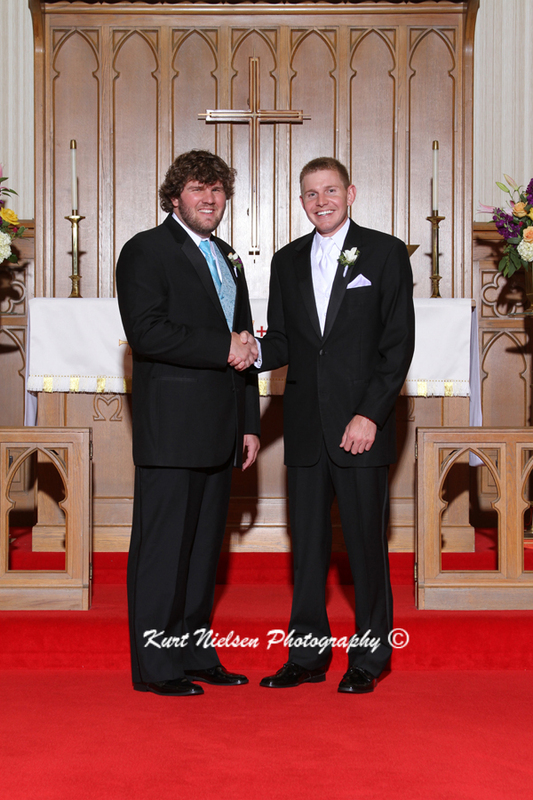 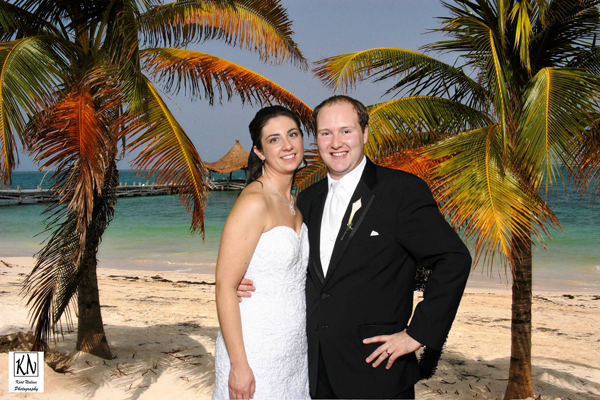 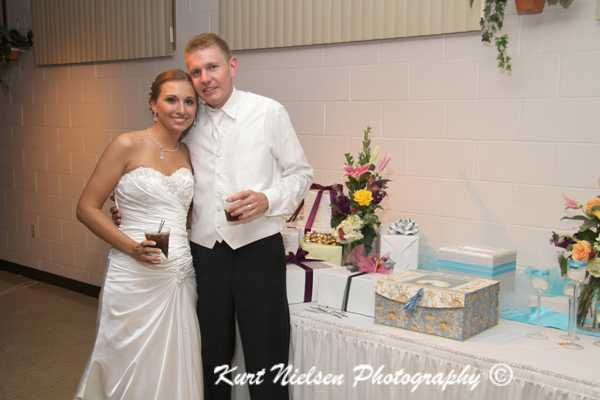 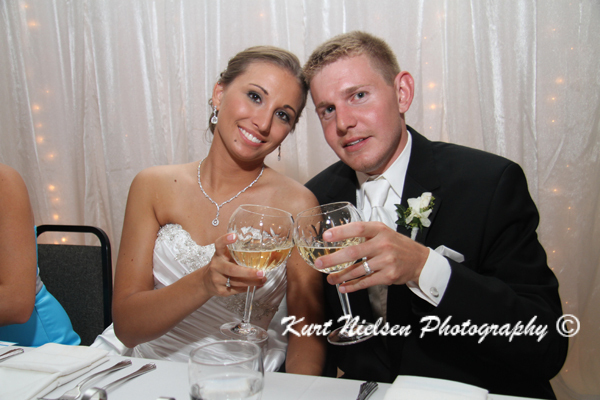 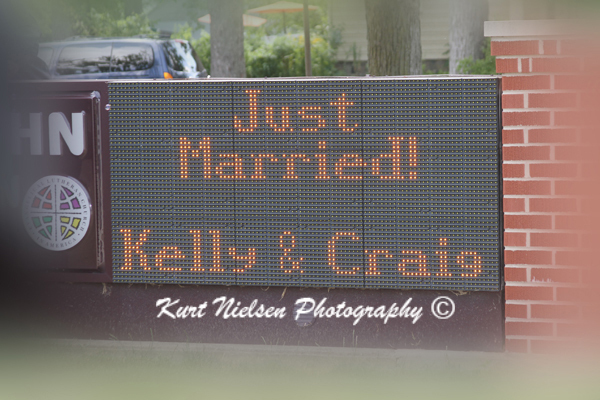 Congratulations Kelly and Craig on your recent marriage! 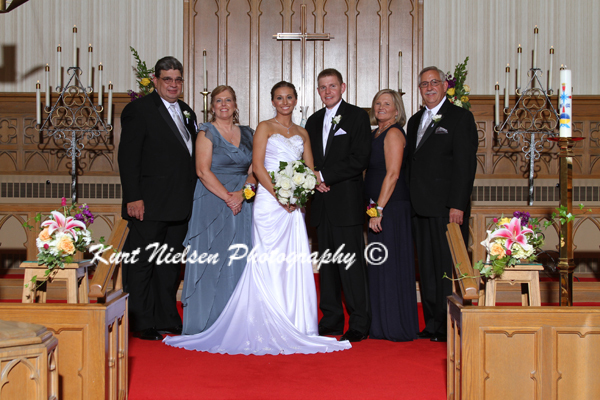 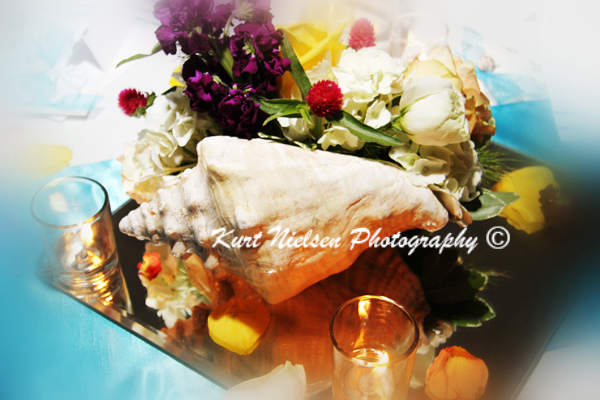 For more information on Kurt Nielsen Wedding Photography, including pricing, please visit my website at: www.kurtnphoto.com. 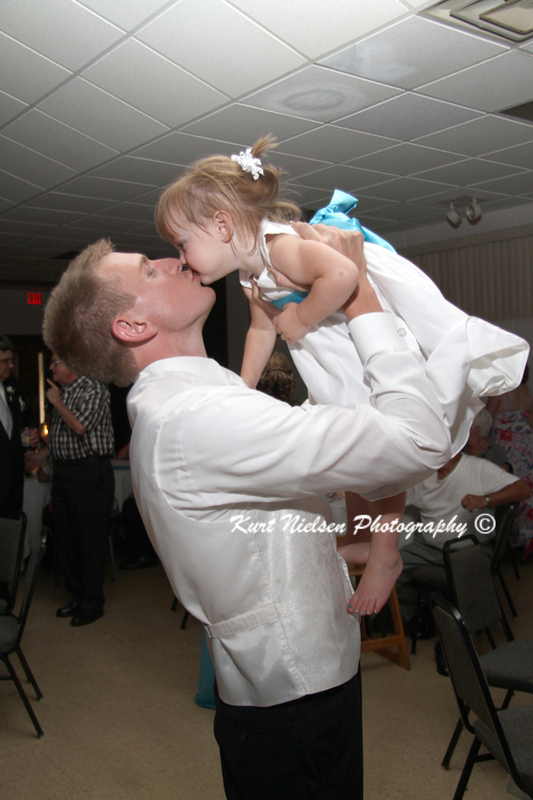 Feel free to make comments below and share this blog post! 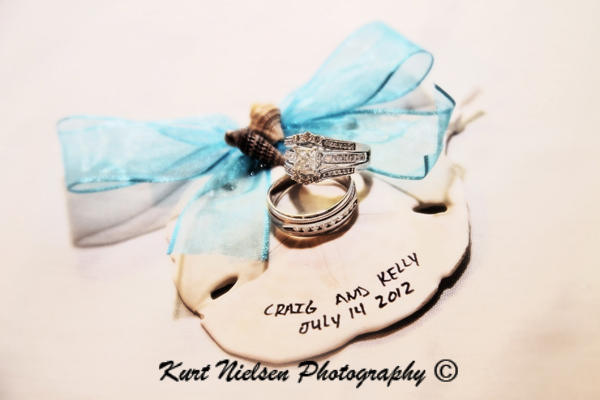 Pin your favorite images to your Pinterest boards!